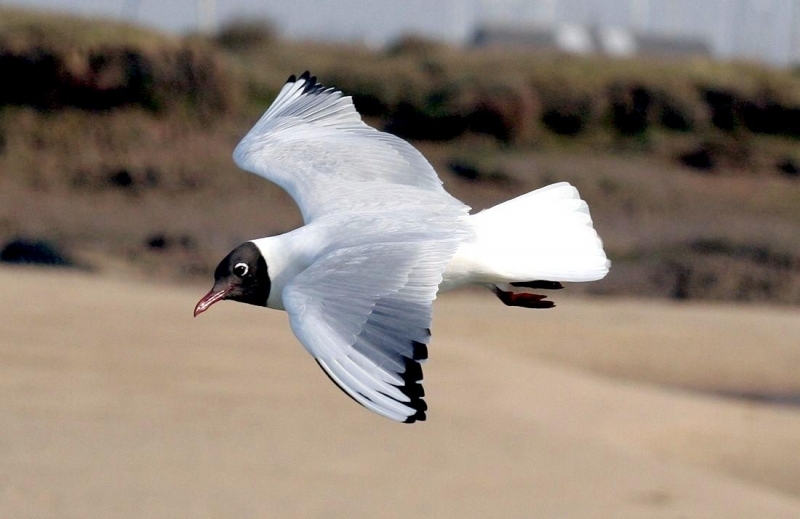 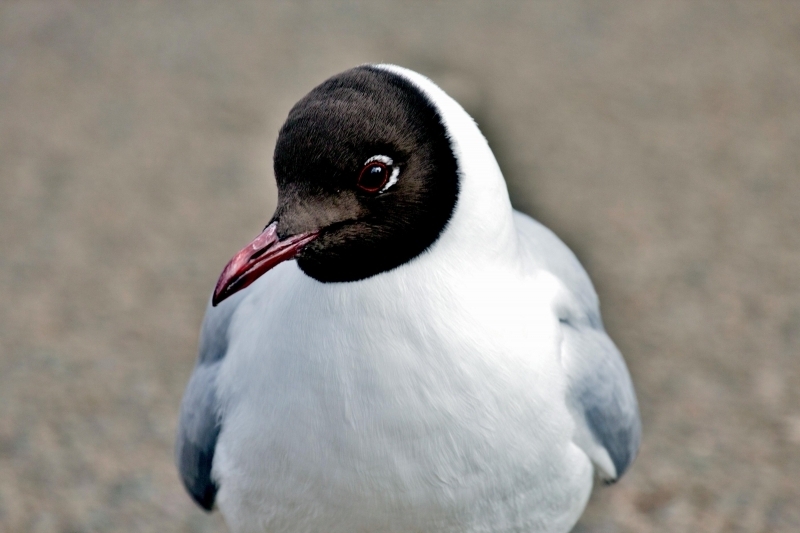 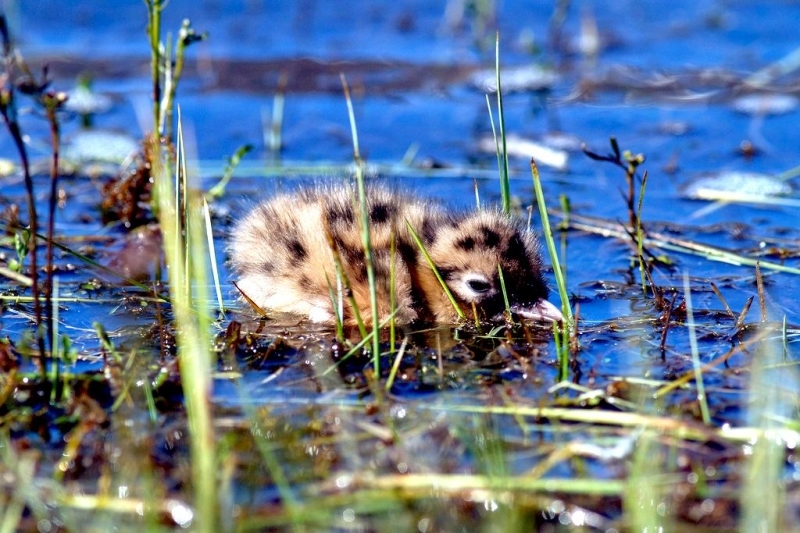 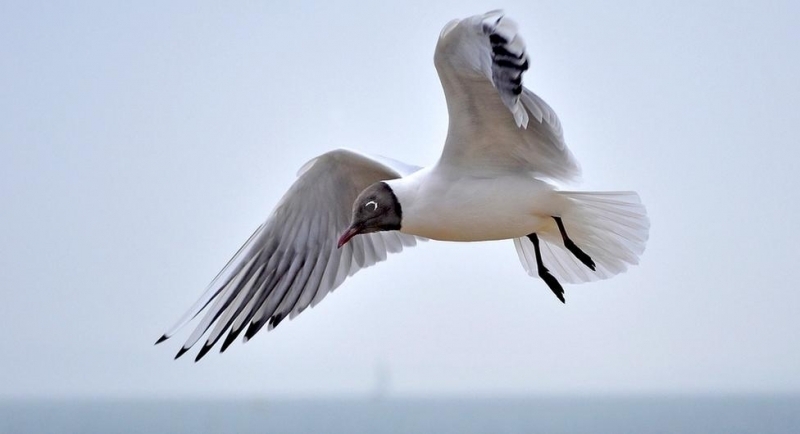 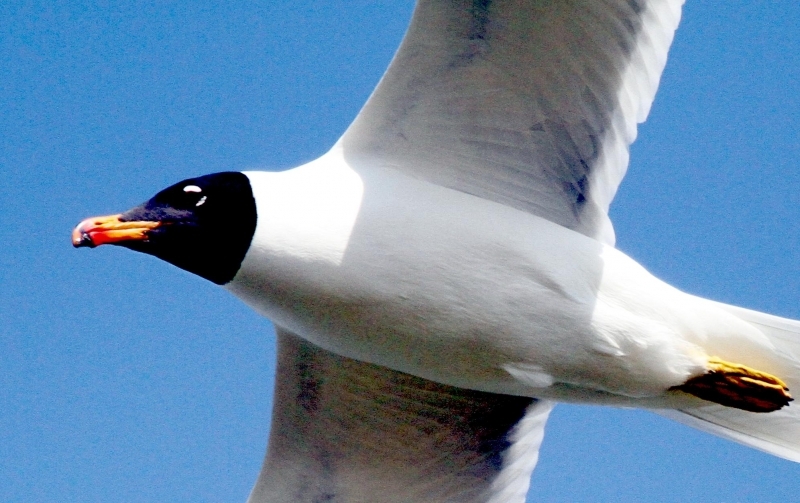 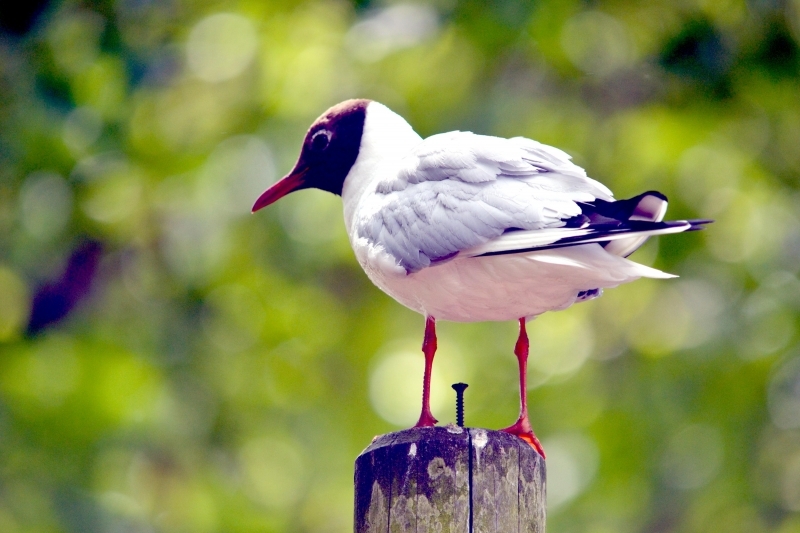 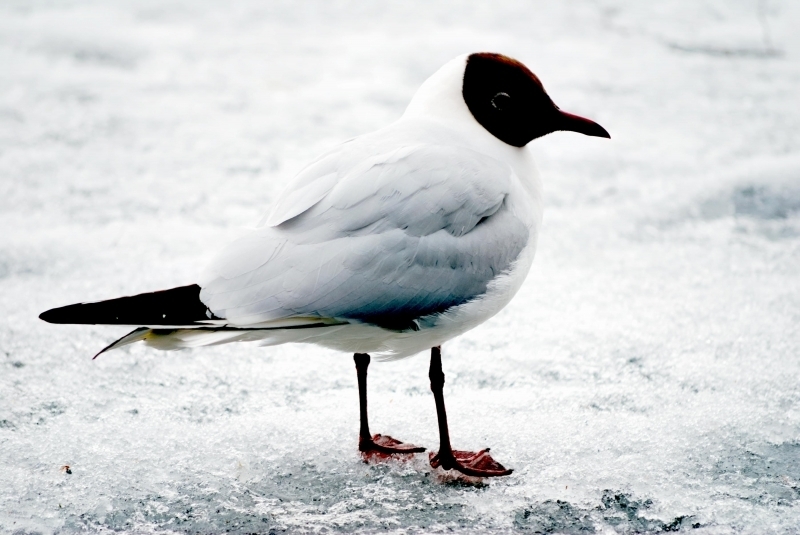 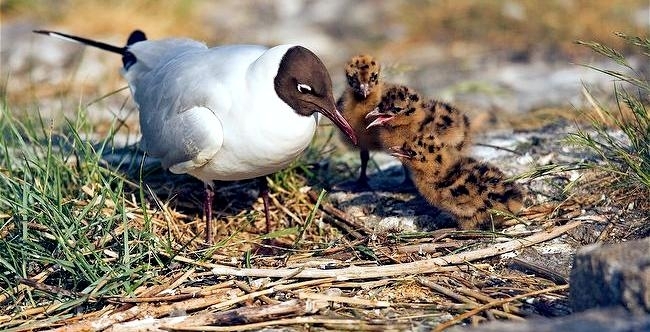 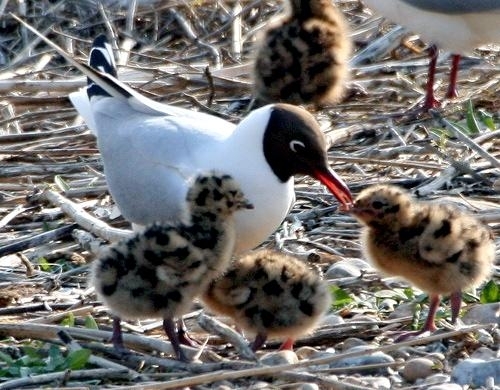 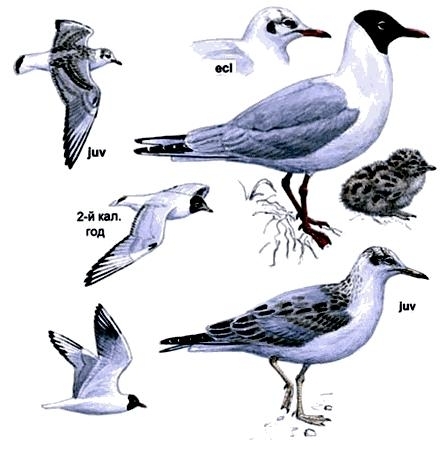 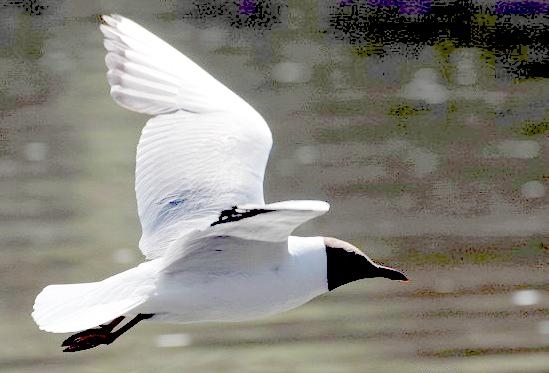 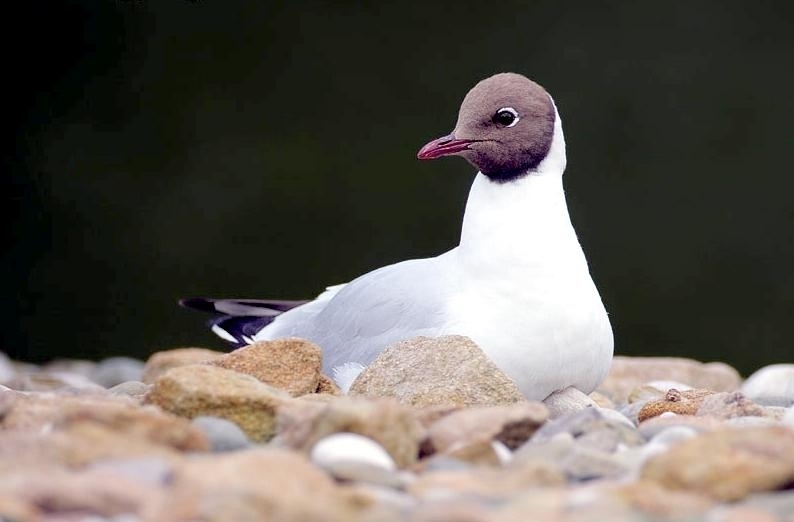 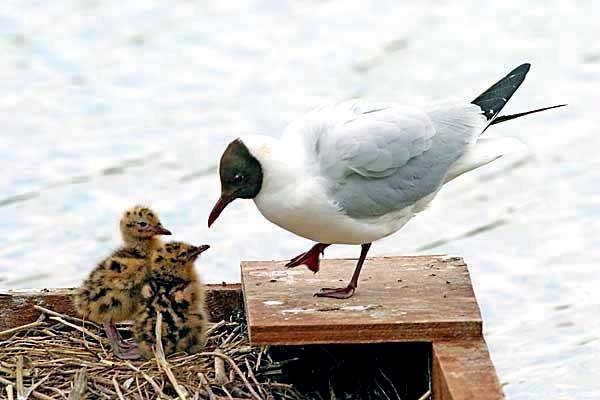 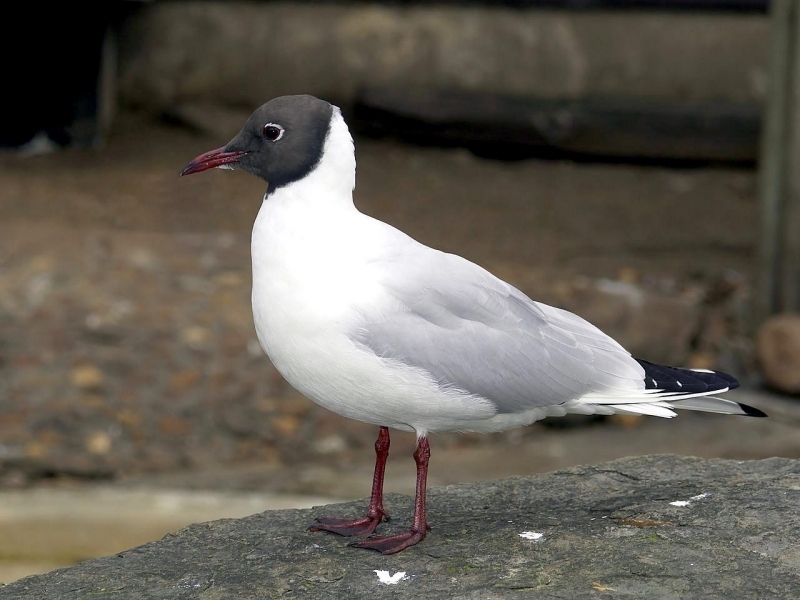 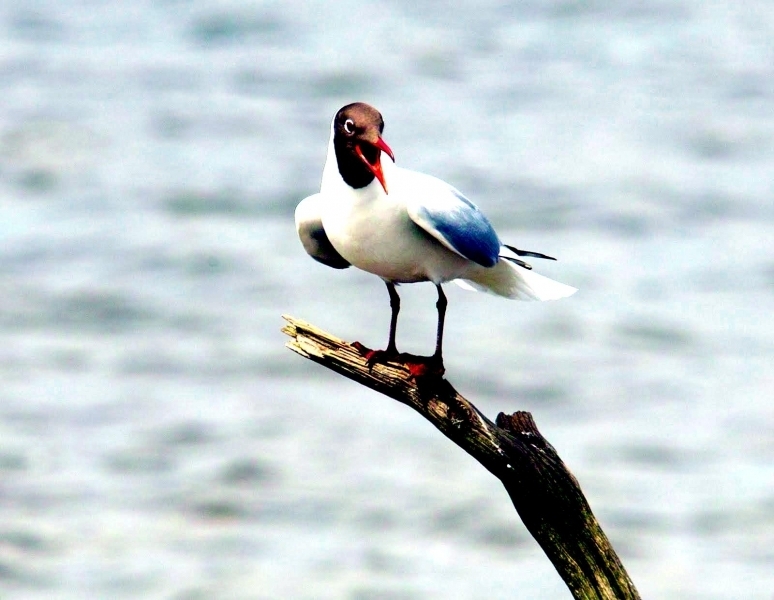 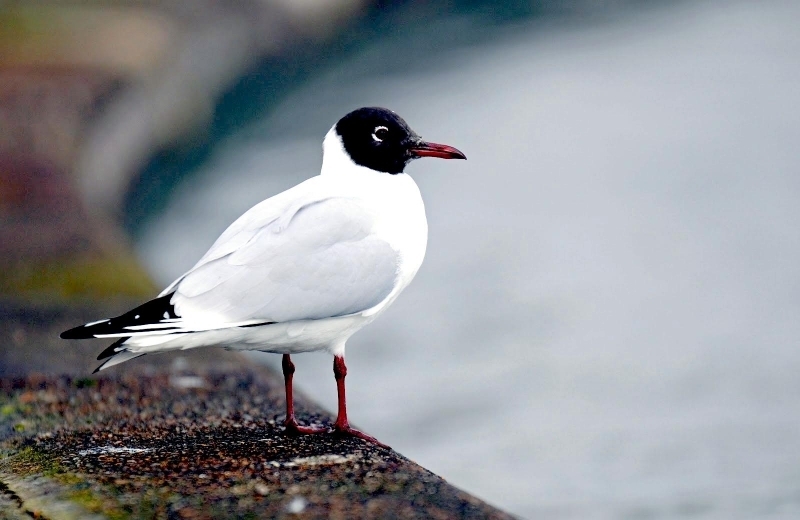 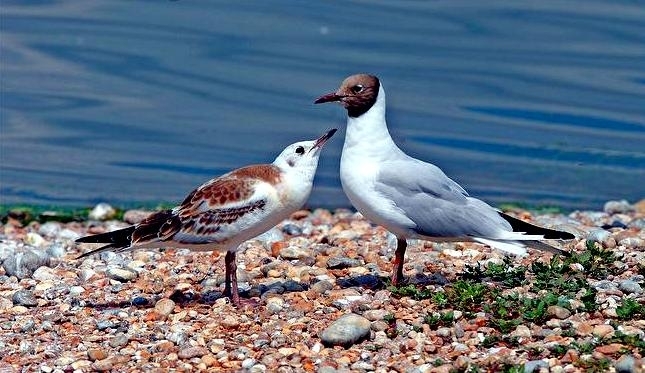 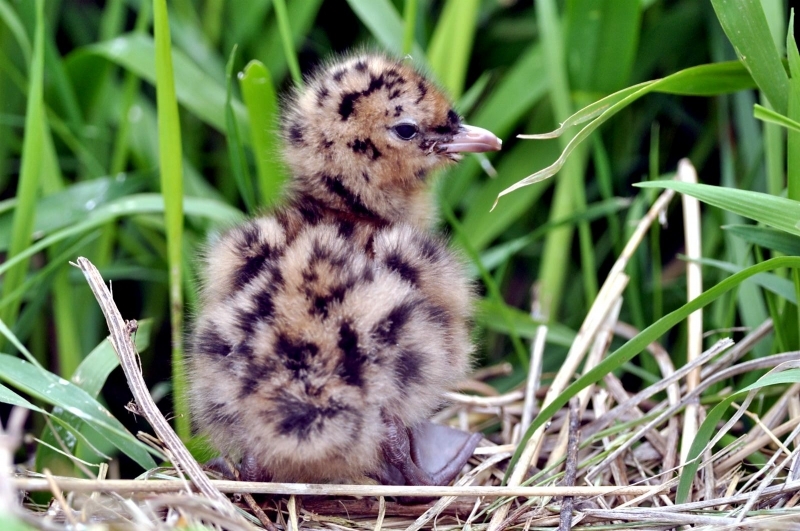 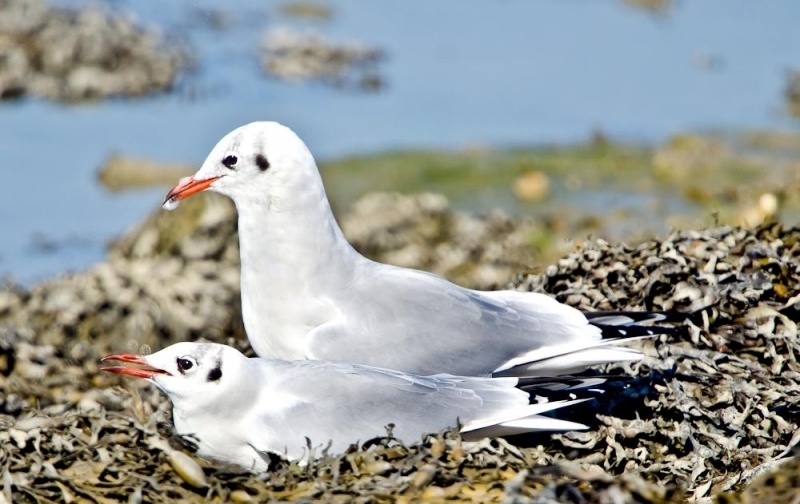 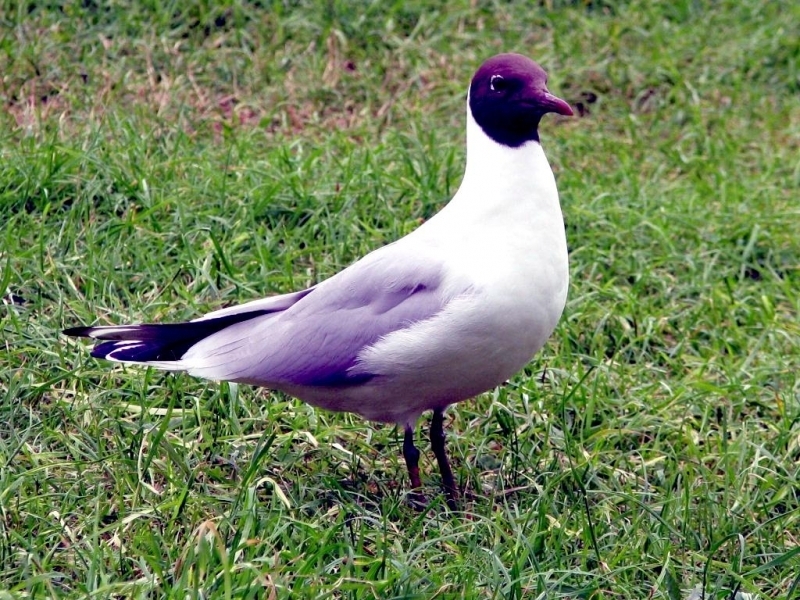 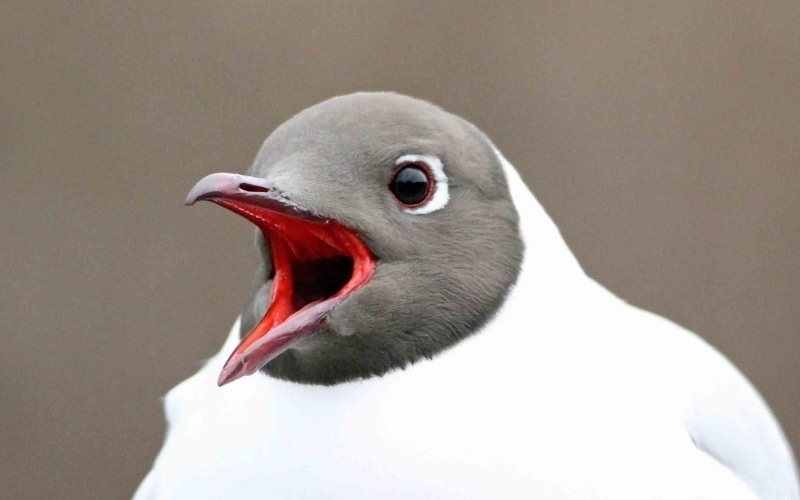 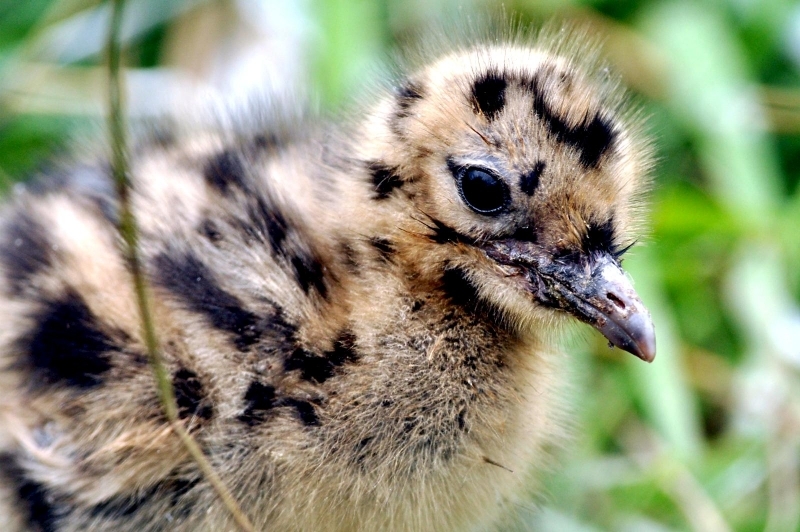 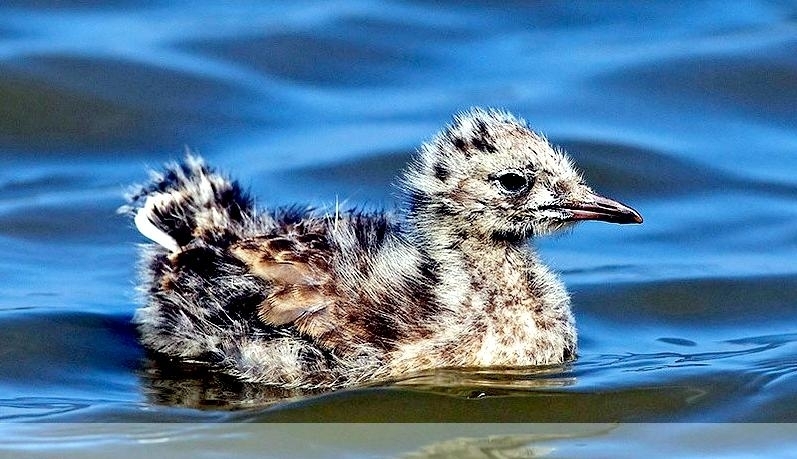 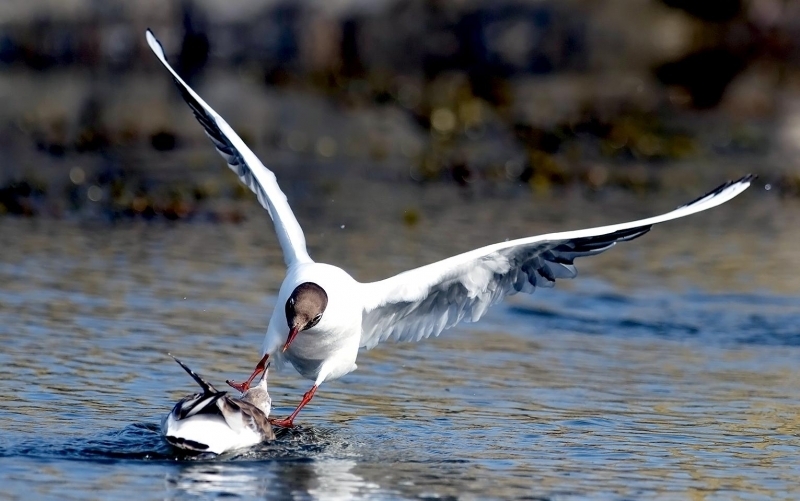 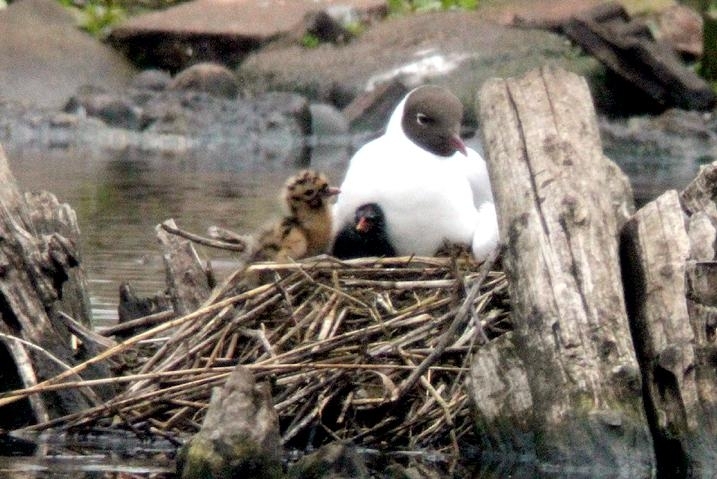 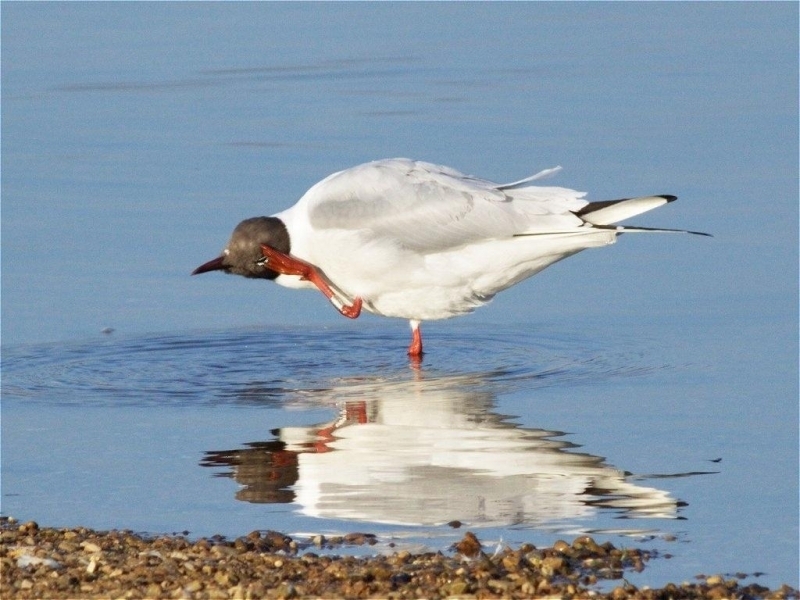 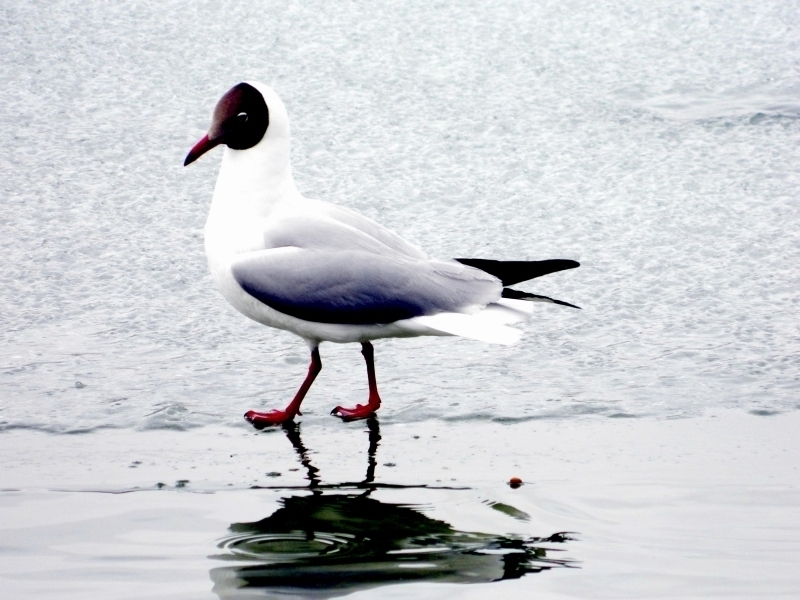 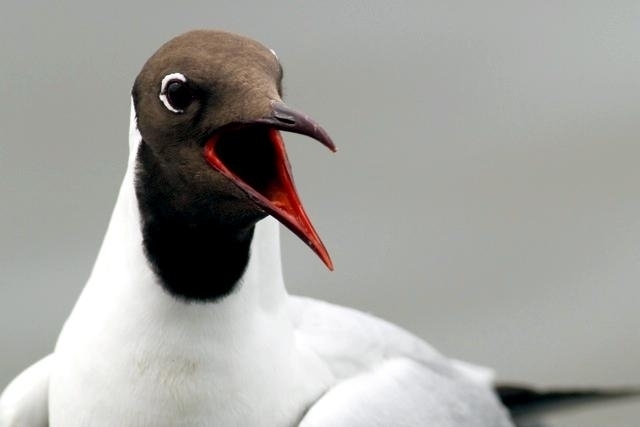 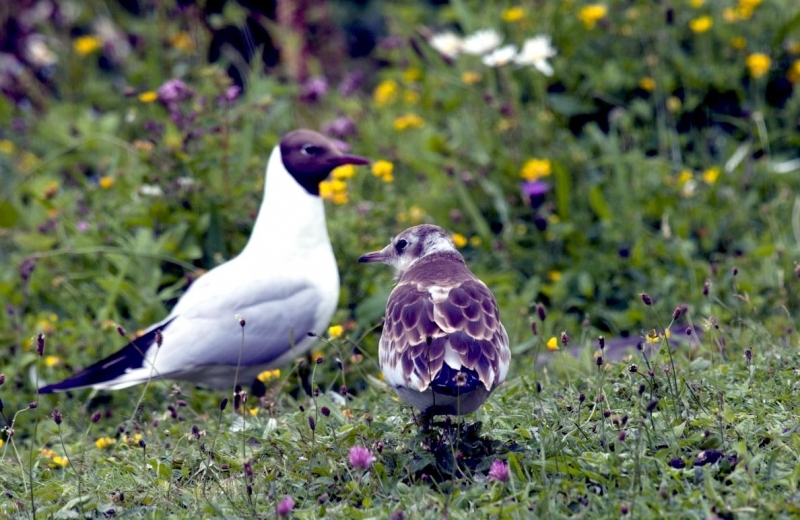 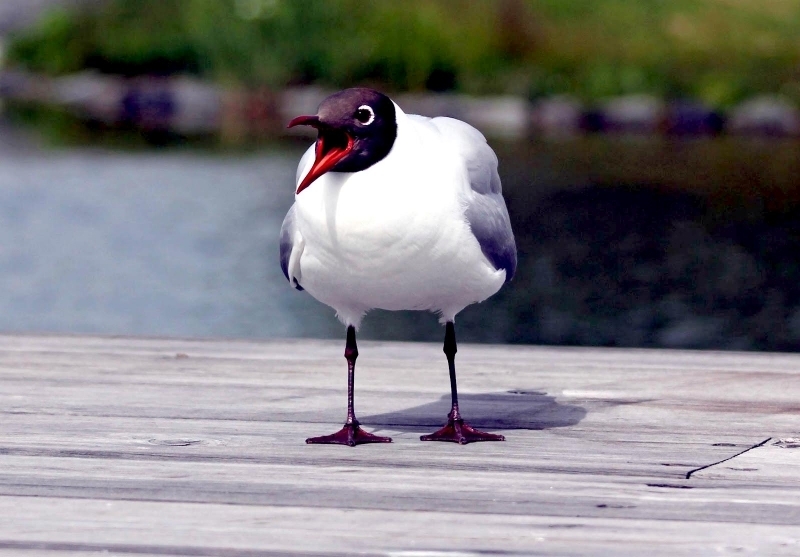 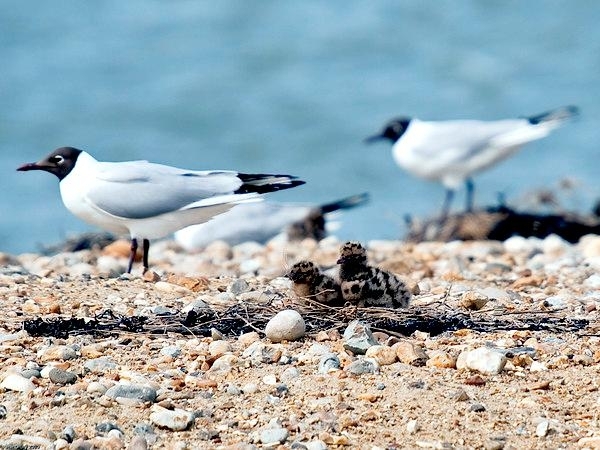 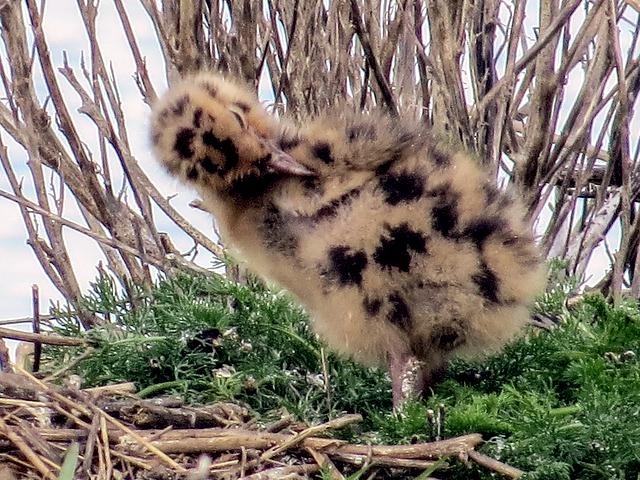 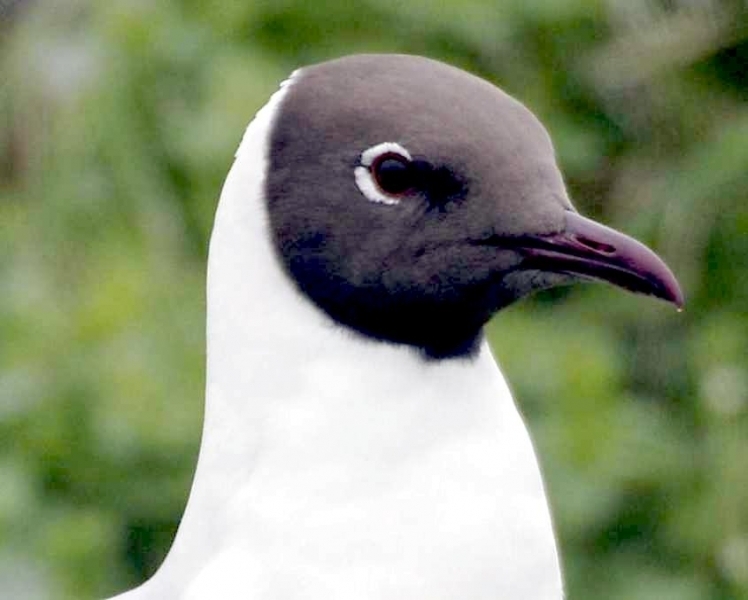 The common name of this species is inaccurate, as adult Black-headed Gulls have a chocolate-brown head in summer. 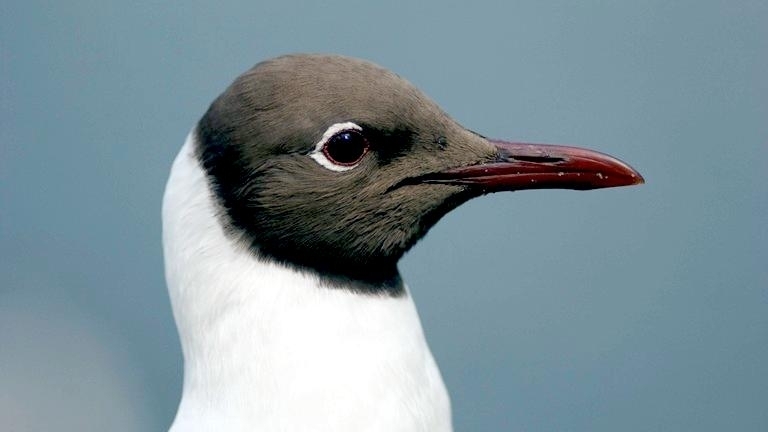 In winter, this brown hood retreats and the birds have a largely white head with a dark spot behind the eye. 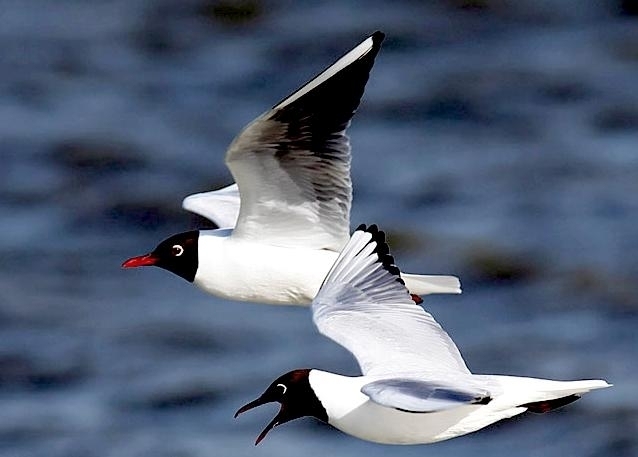 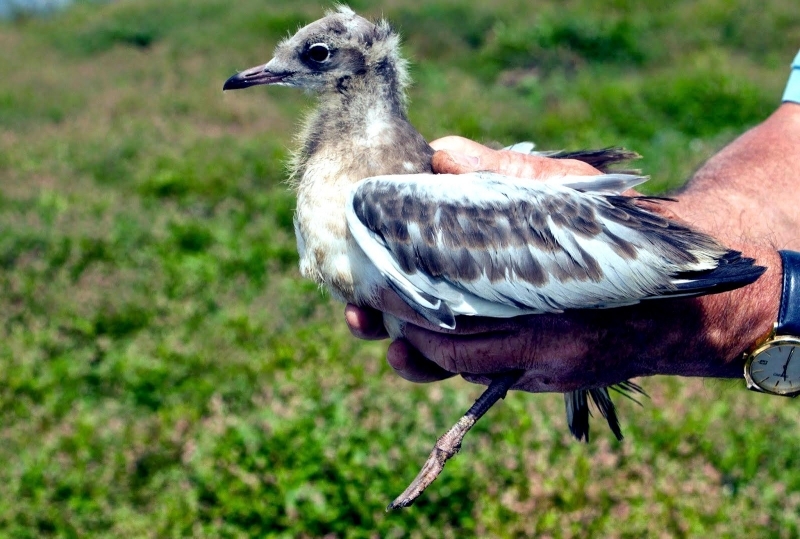 Other distinguishing features include the prominent white leading edge of the upper wing, which is visible from a fair distance, the tern-like slender wings and the reddish colored bill & legs. 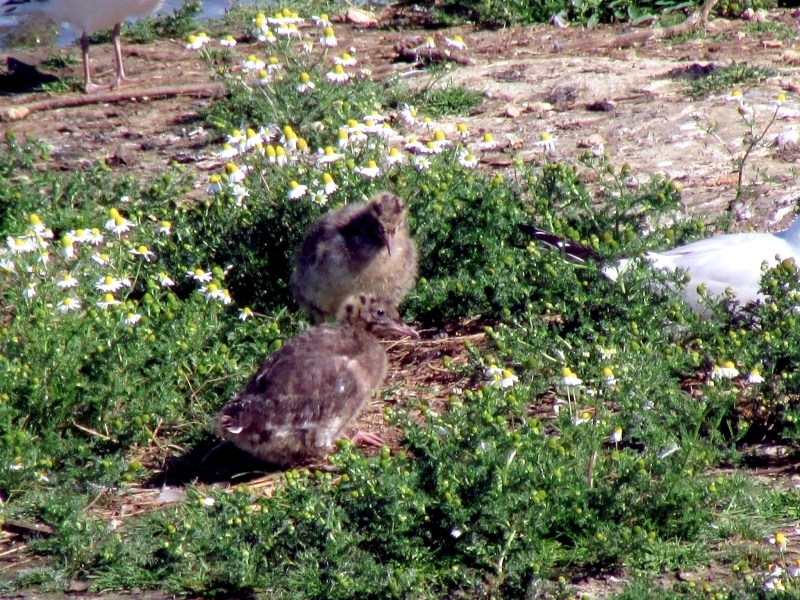 Juveniles are different in appearance to adults; they have ginger-brown colored upper-parts and a yellowish bill with a black tip. 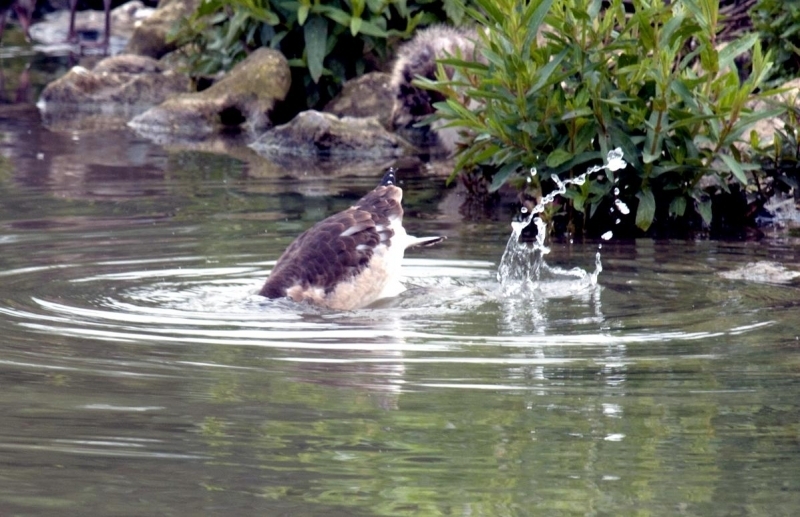 This is a noisy species during the breeding season, producing a loud kwarr call and a short kwup. 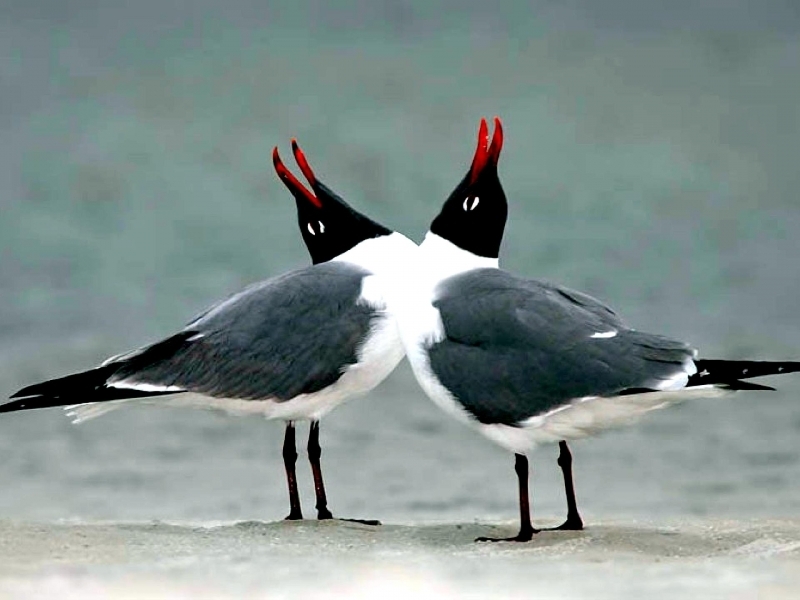 These gregarious birds are usually seen in flocks or small groups. 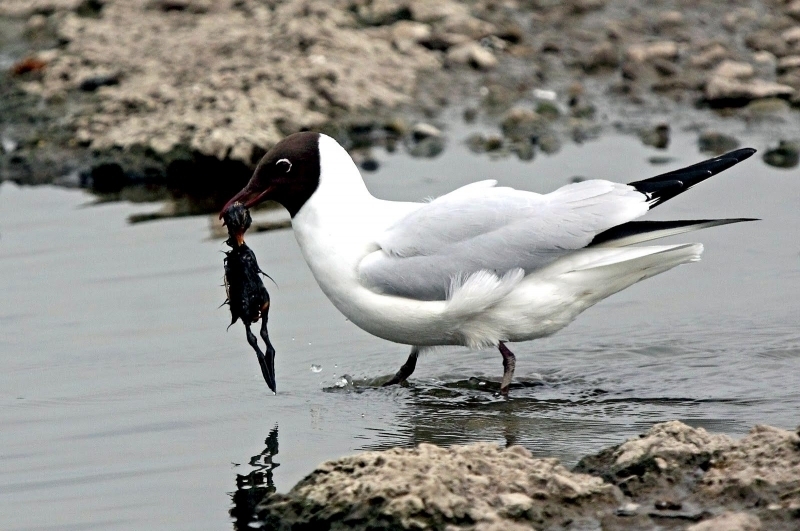 They feed on worms, other soil invertebrates, scraps, rubbish, carrion and fish. 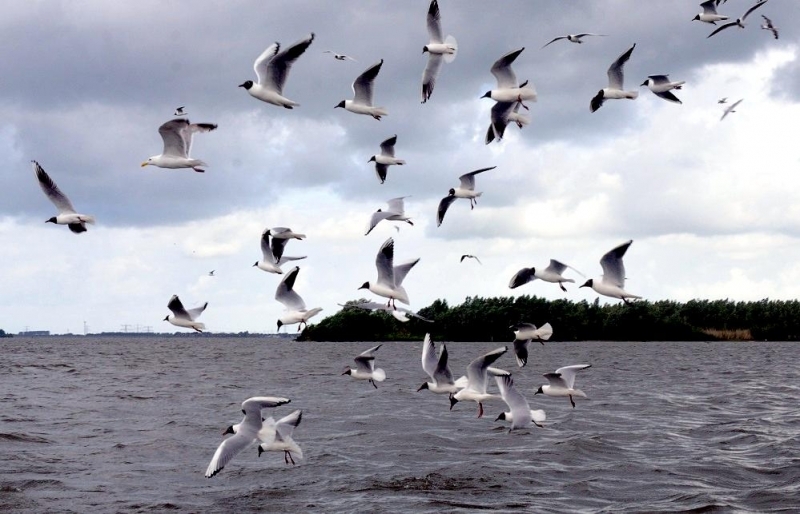 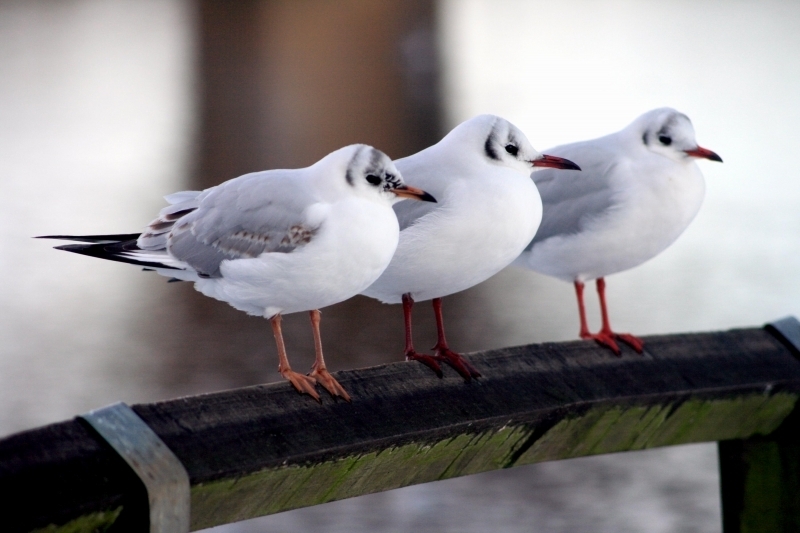 During winter, Black-headed Gulls roost on open water, typically freshwater, although they may occasionally make use of sheltered estuaries. 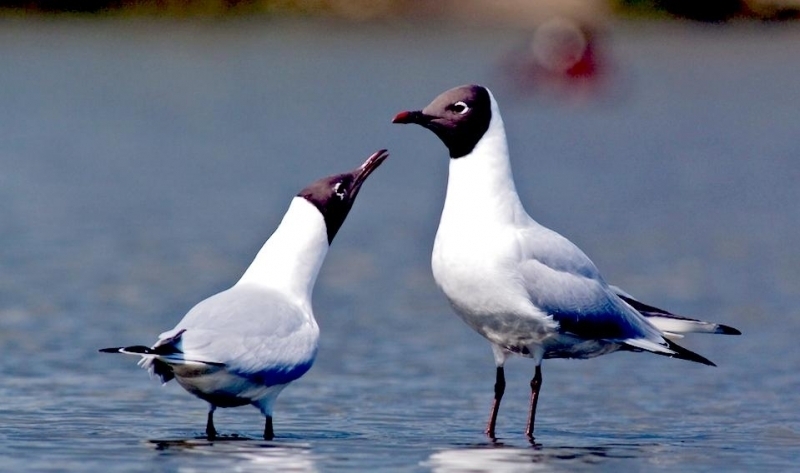 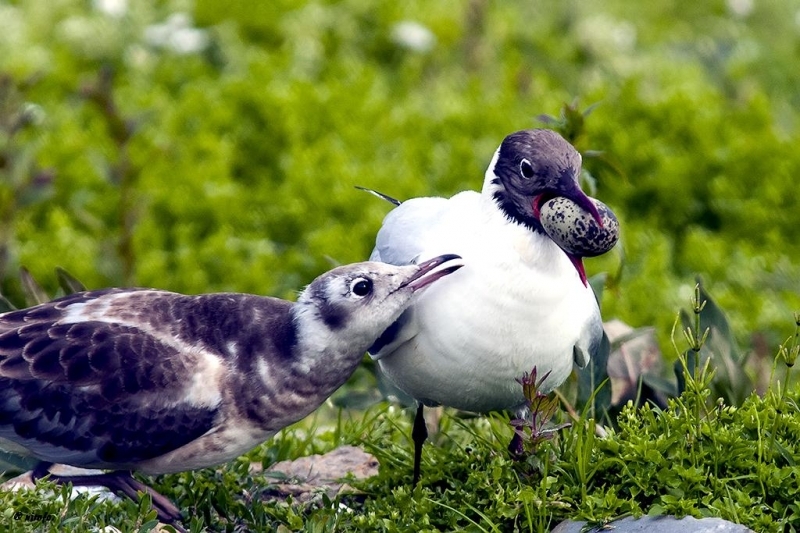 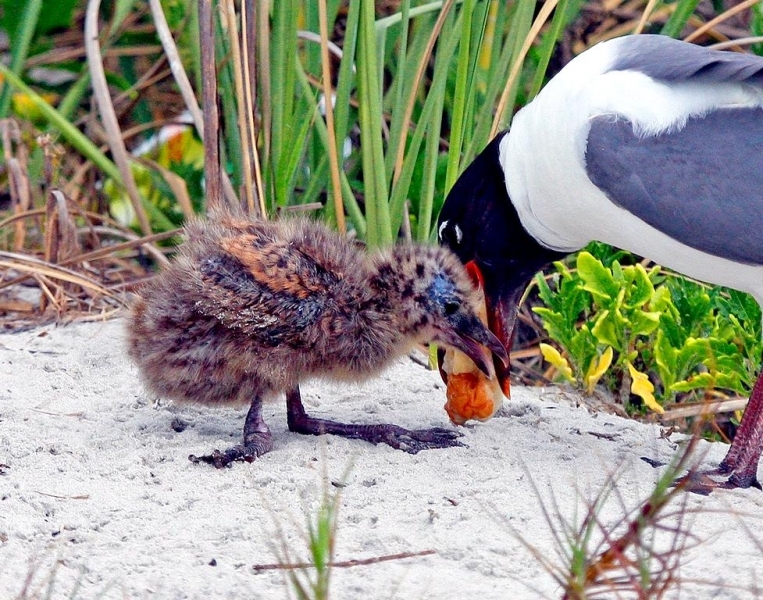 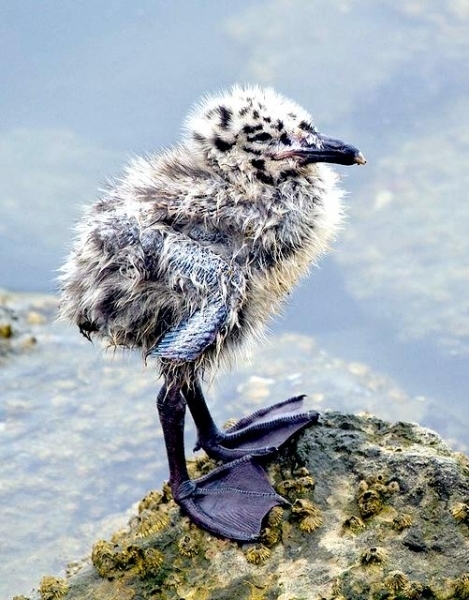 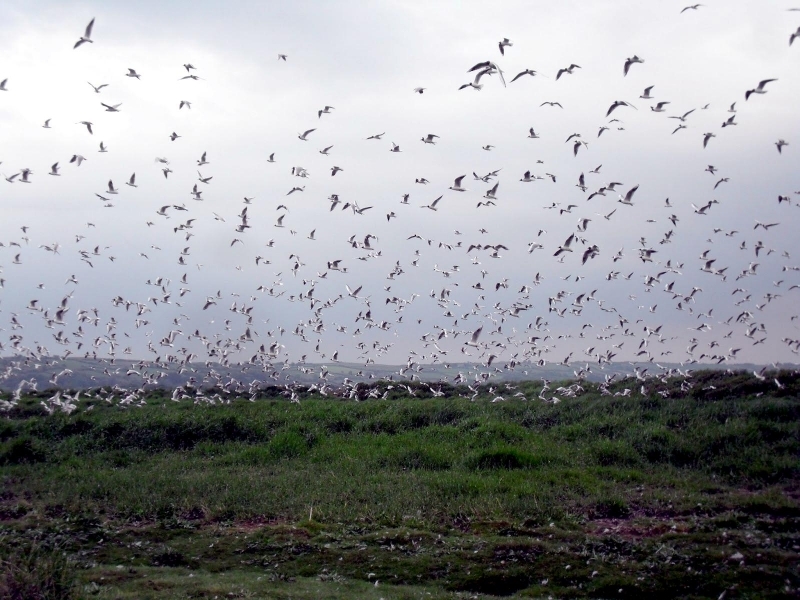 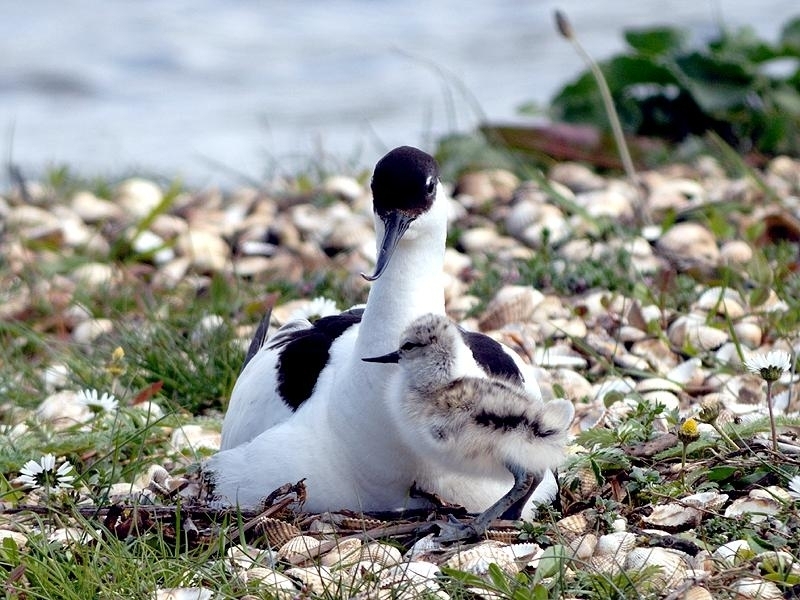 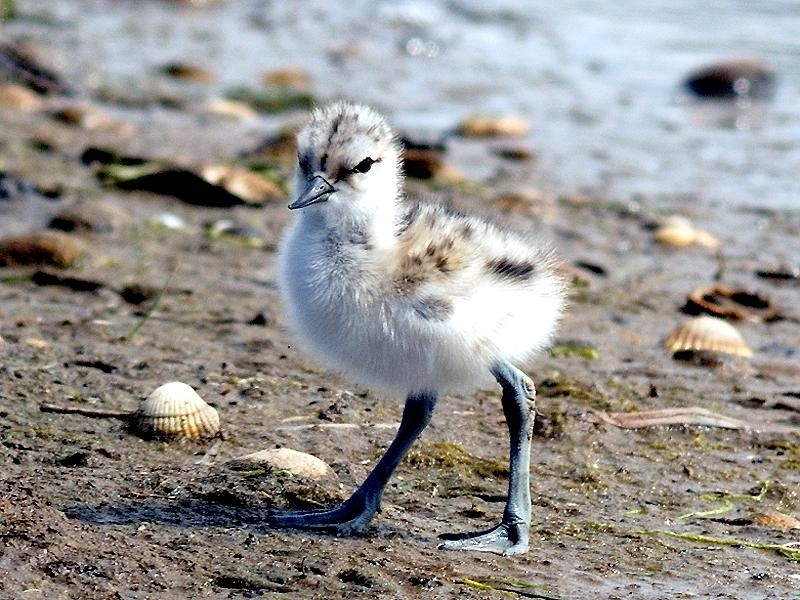 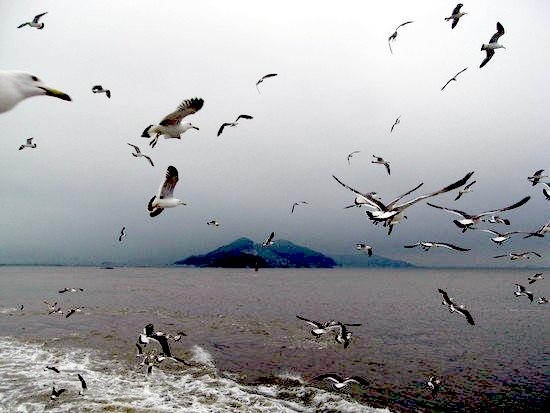 These seabirds nest in colonies, within which pairs defend small territories. 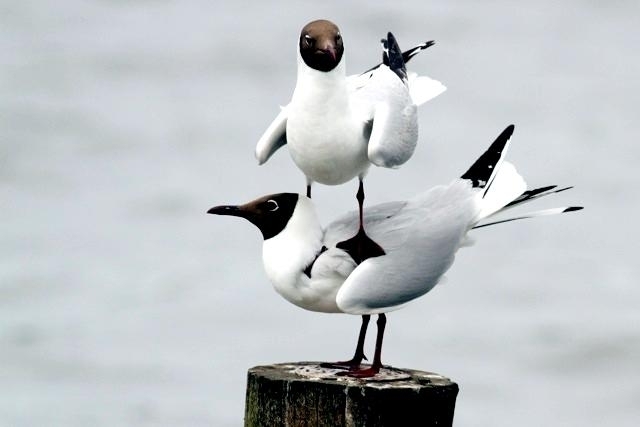 They will defend these territories from other birds using ritualized displays. 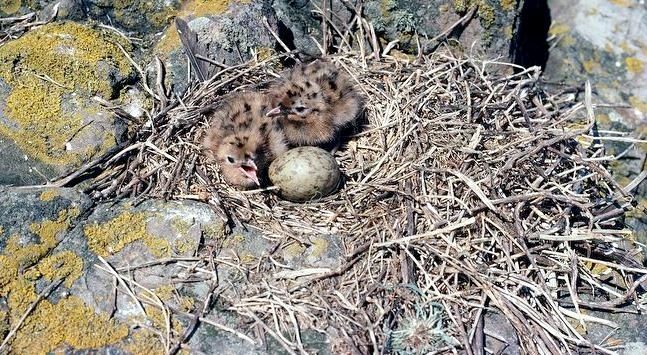 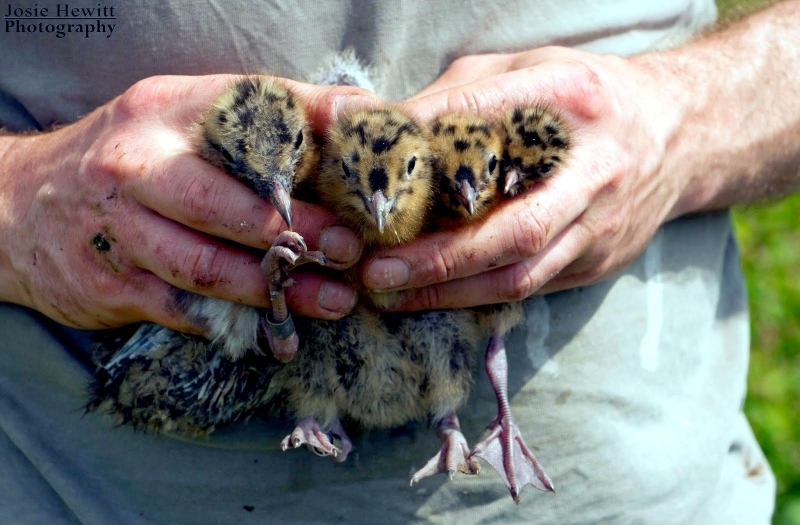 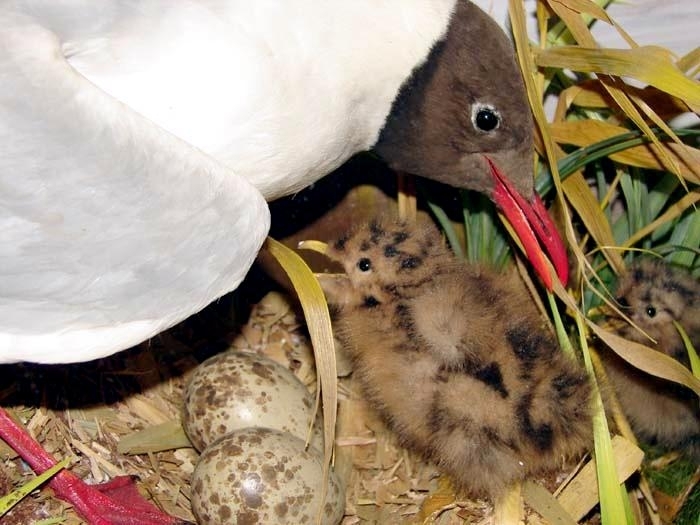 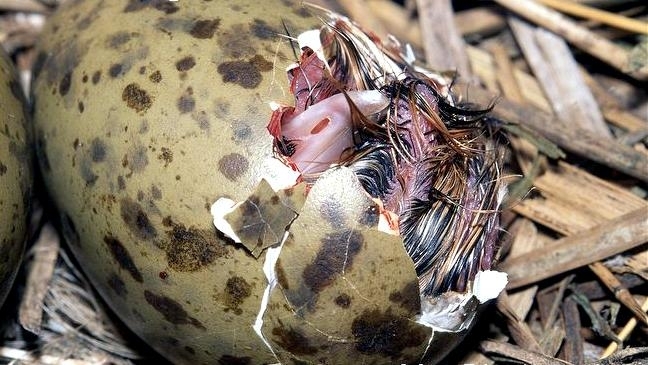 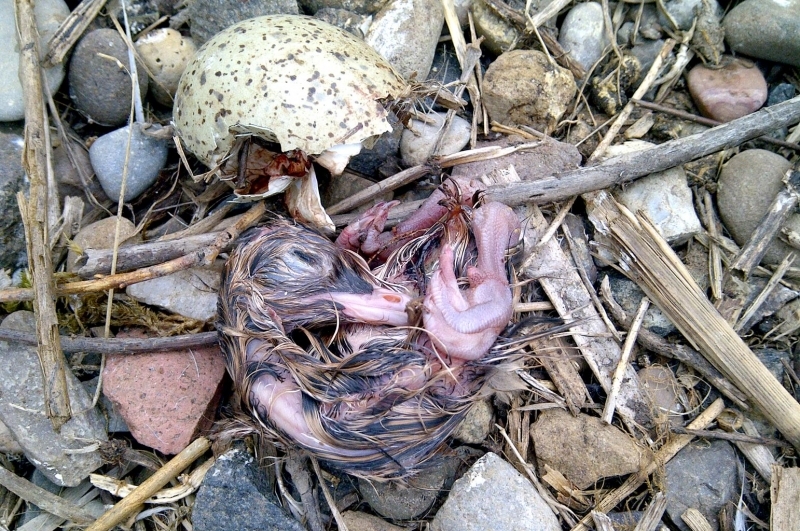 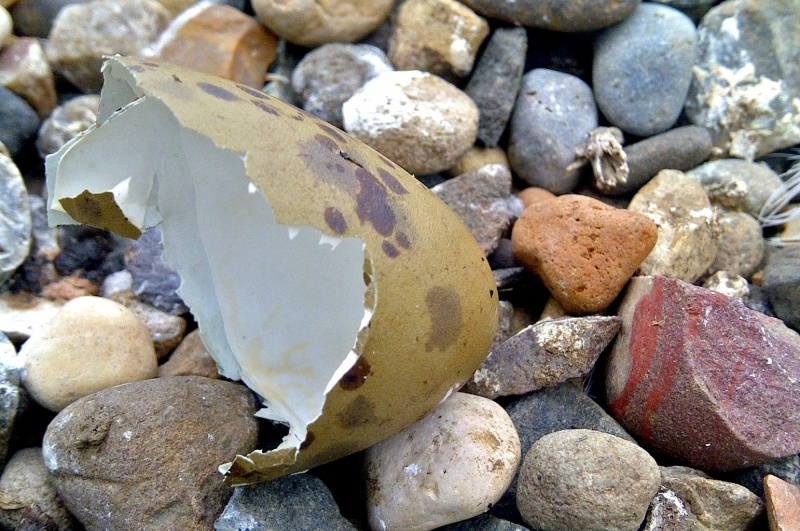 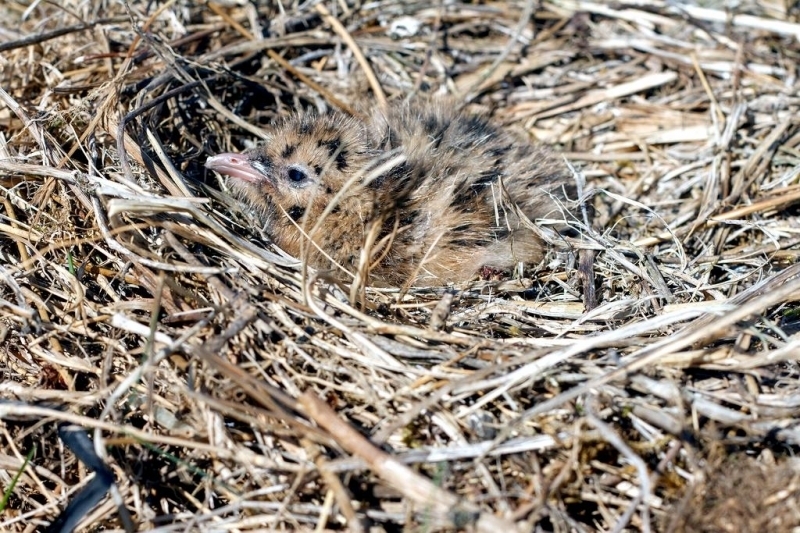 On the average, 2 to 3 eggs are produced which are incubated for up to 26 days. 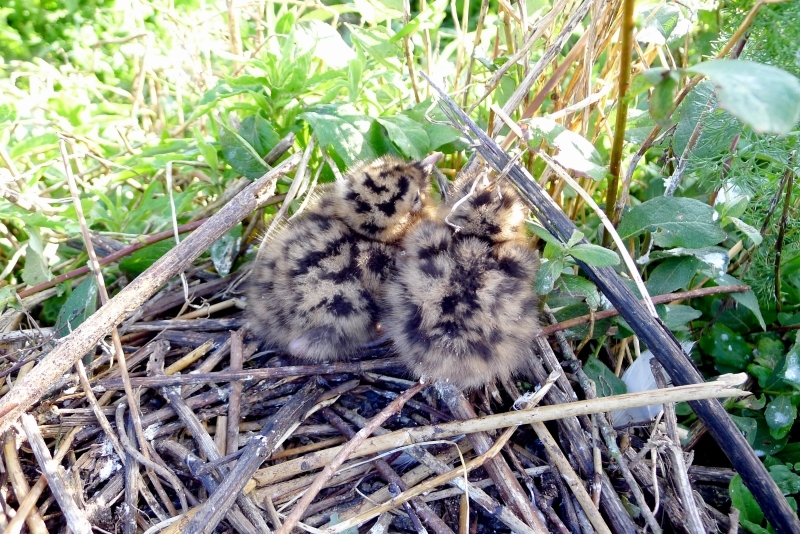 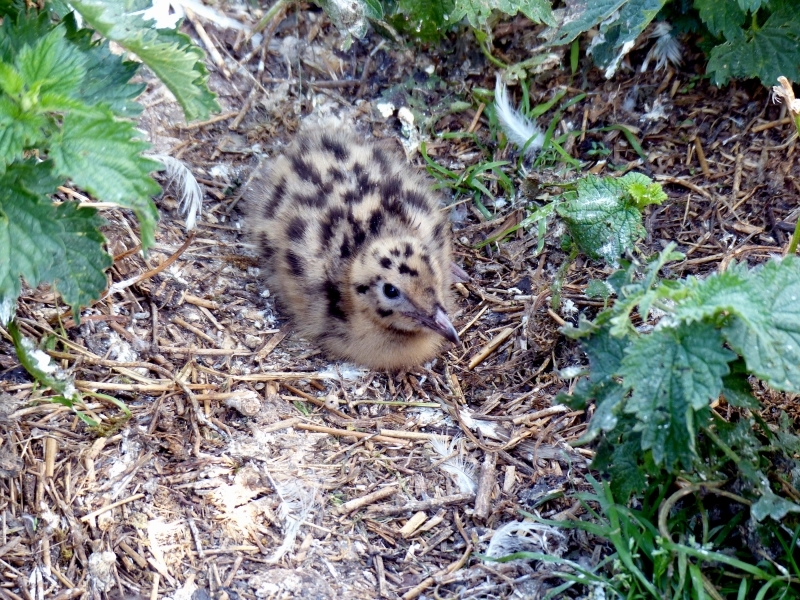 After a further 35 days the chicks will have fledged. 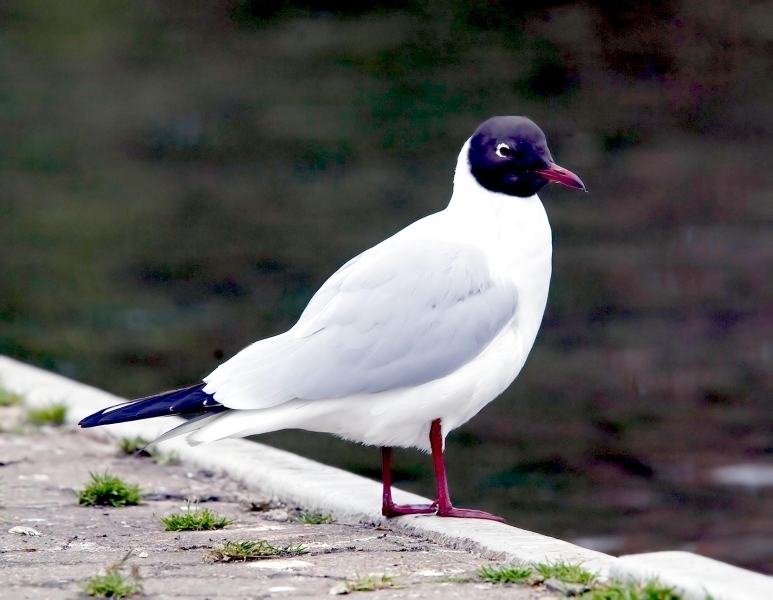 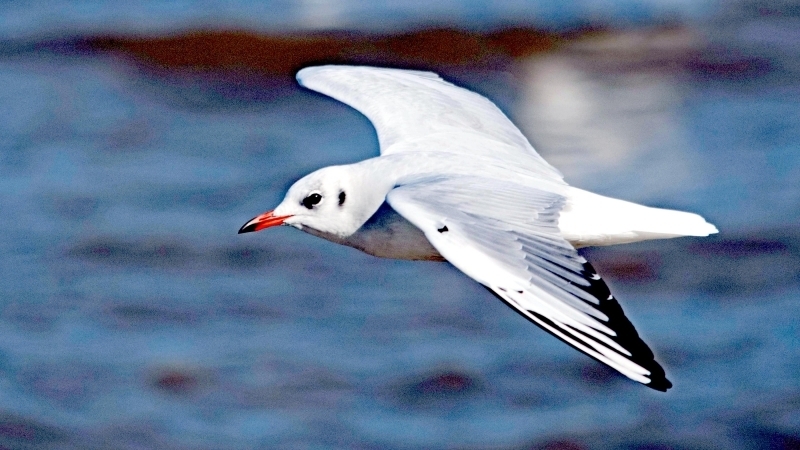 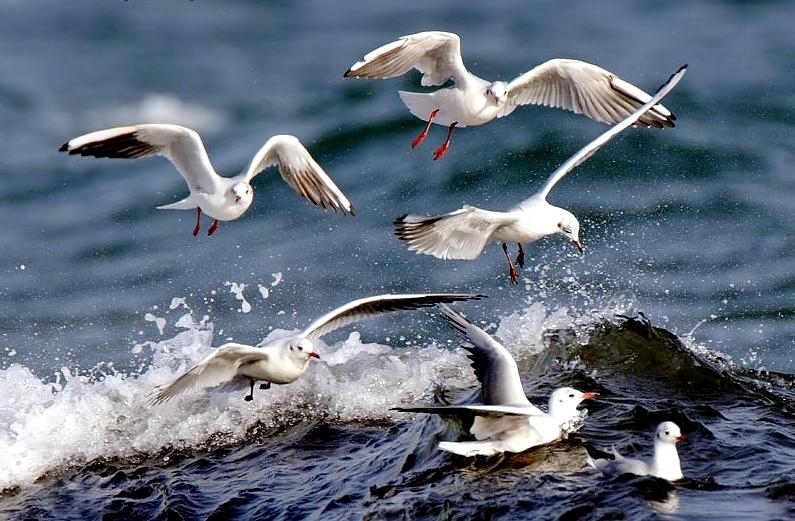 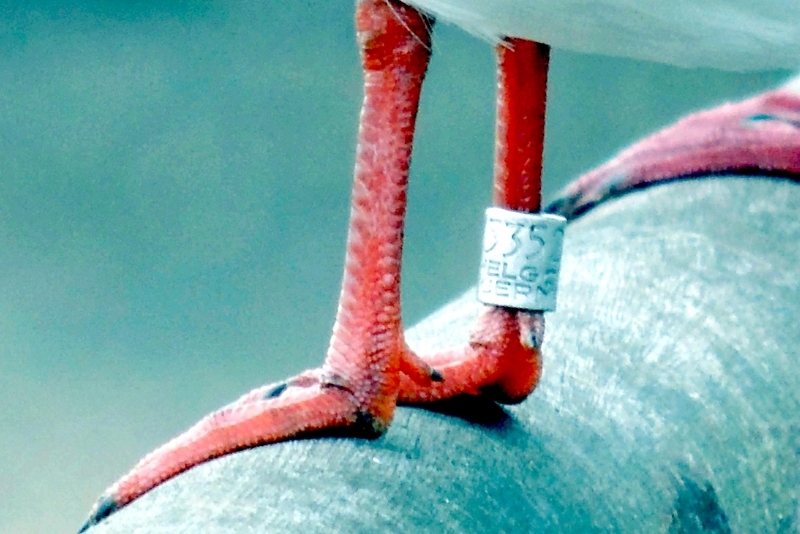 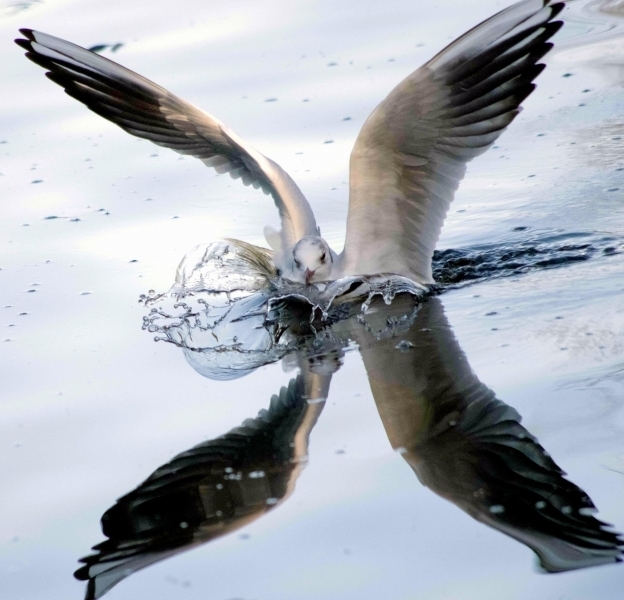 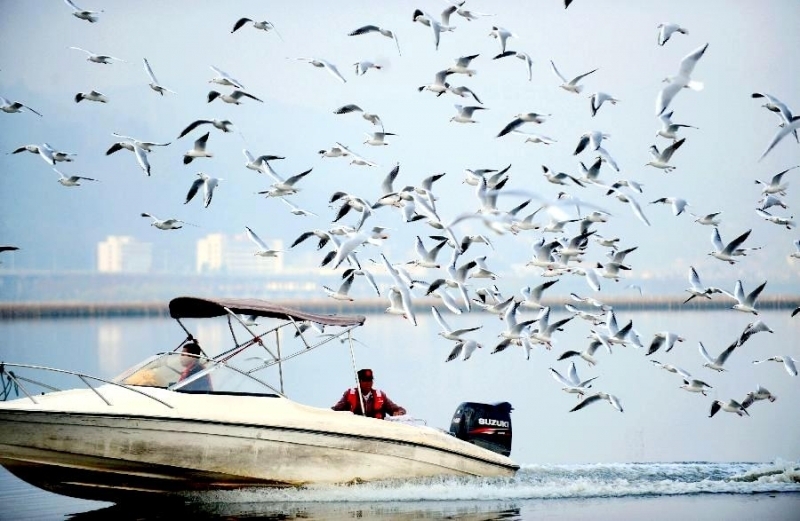 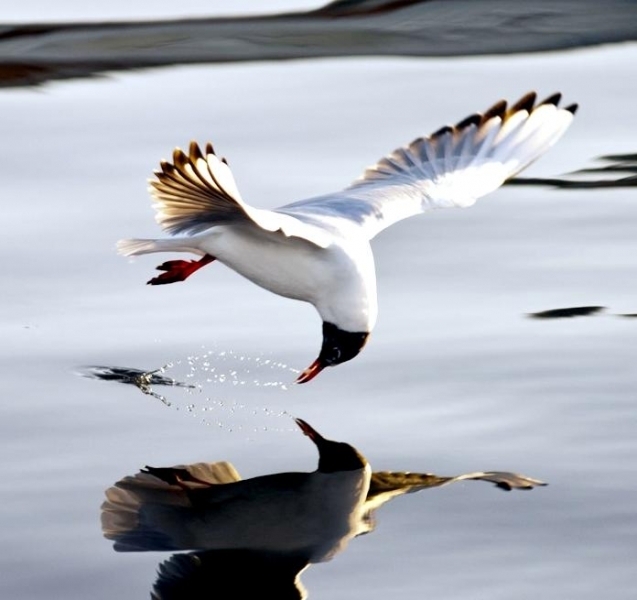 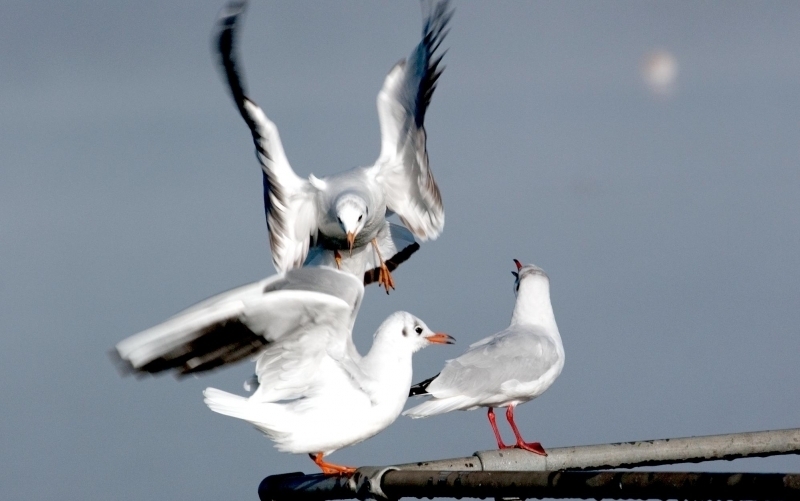 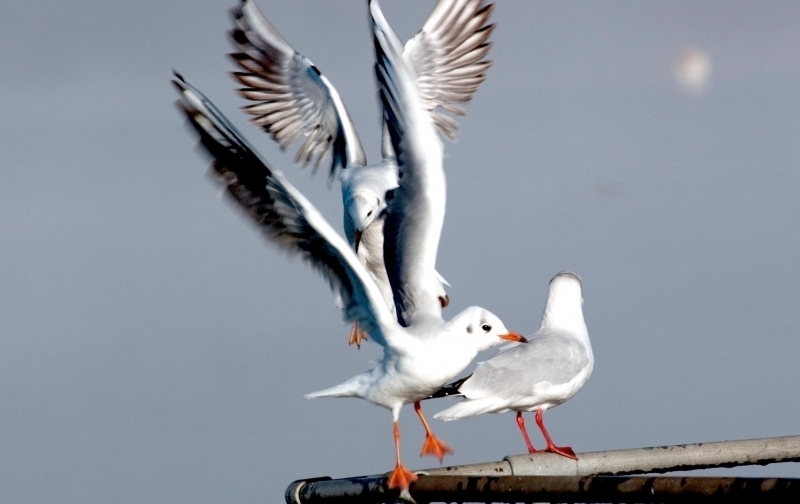 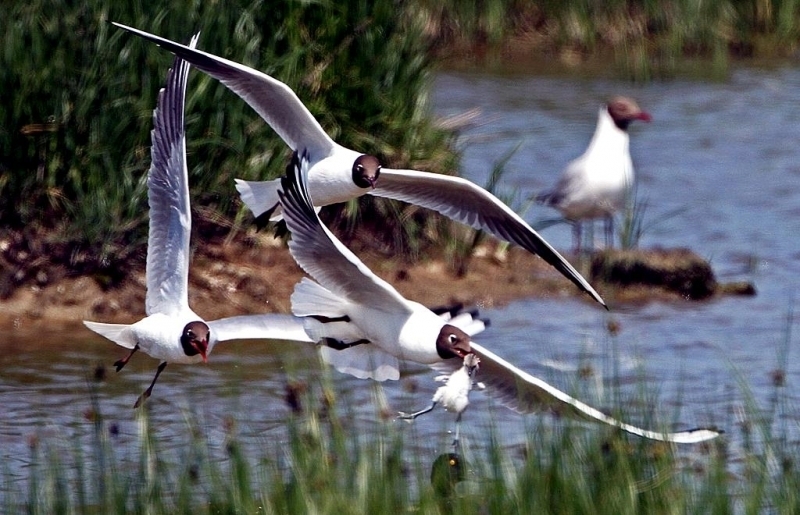 Black-headed Gulls are fairly long lived, with a maximum recorded life-span of 32 years. 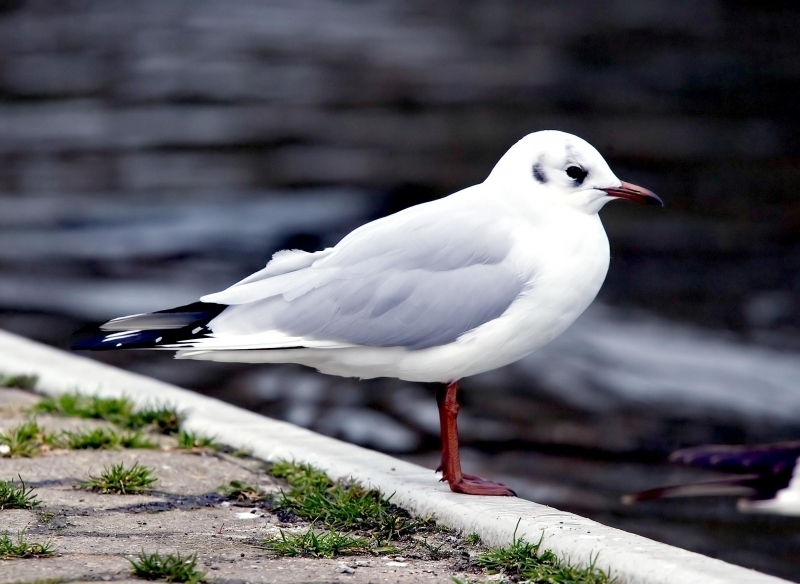 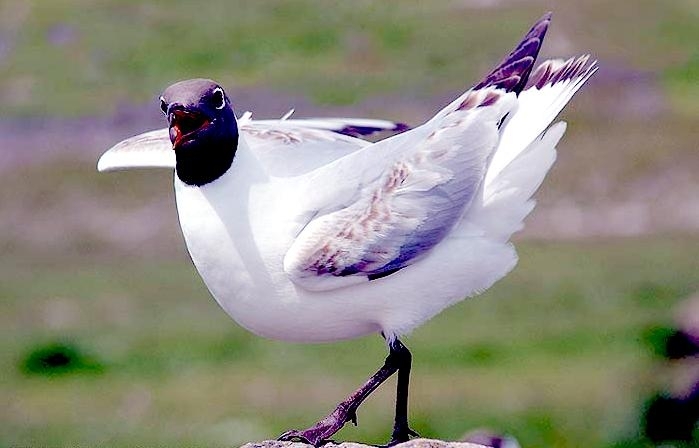 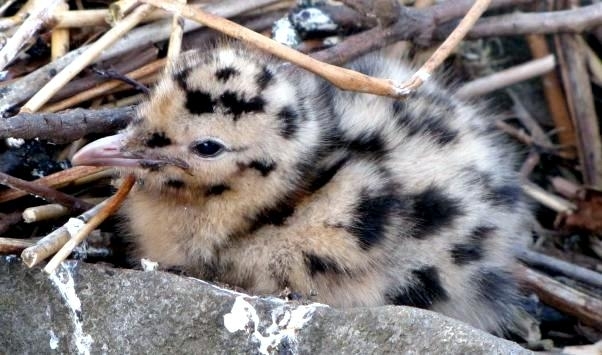 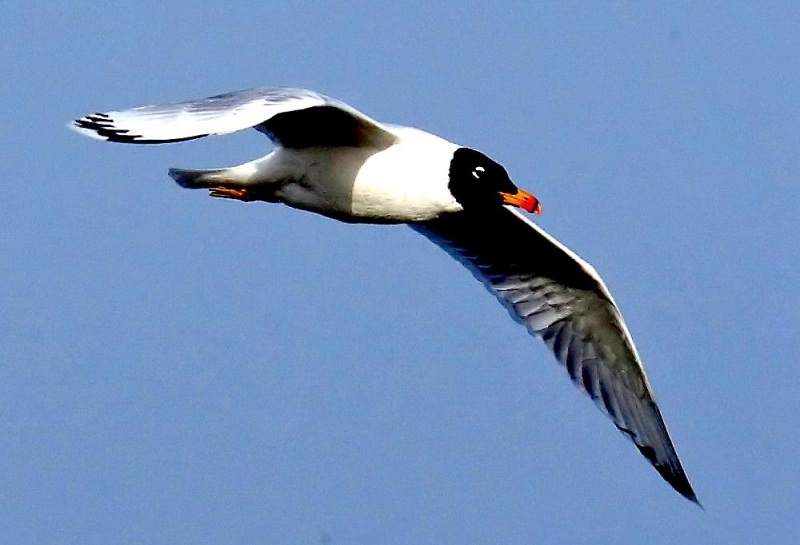 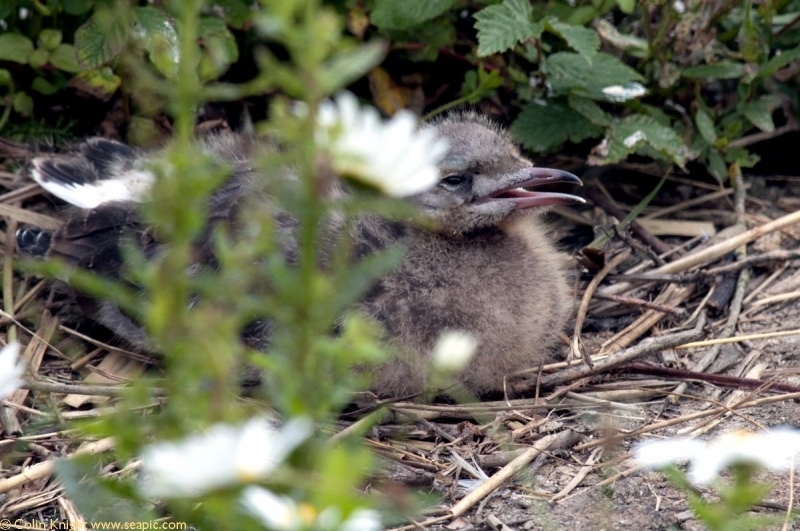 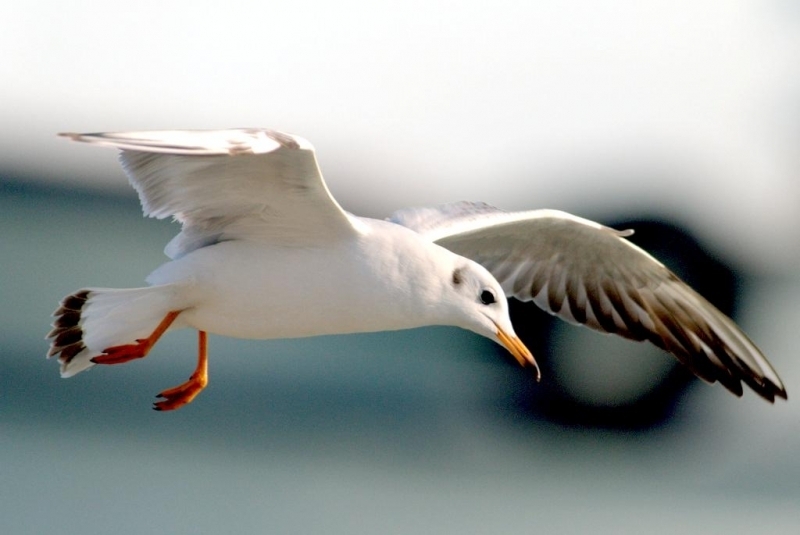 This gull is widespread in Britain, in inland areas as well as by the coast. 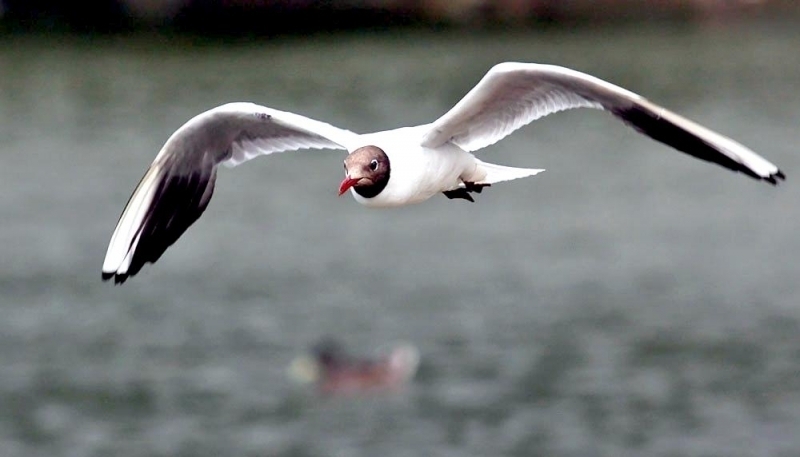 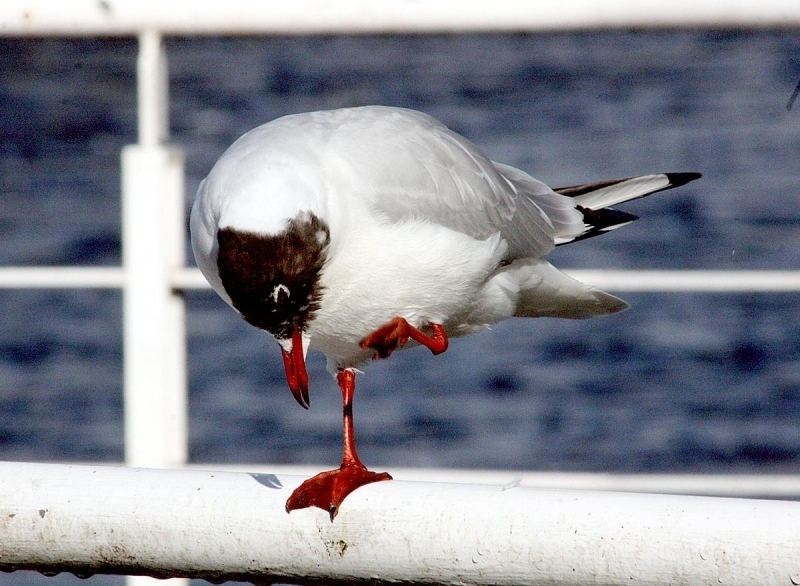 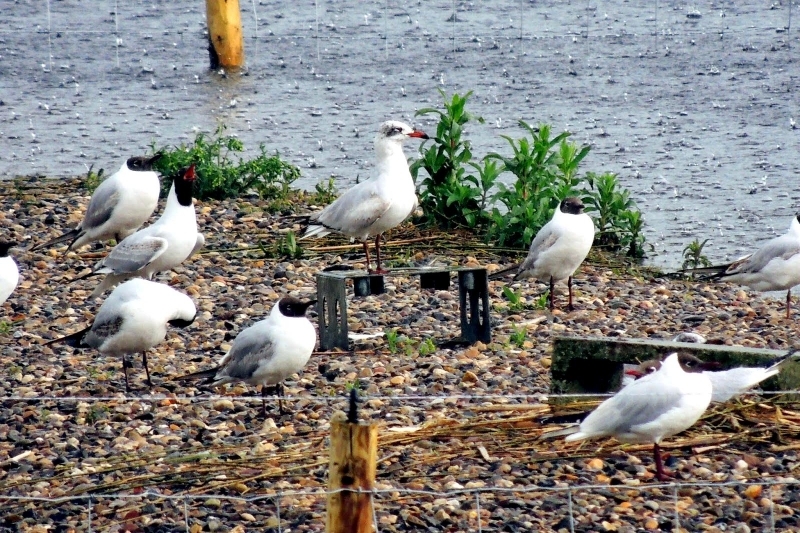 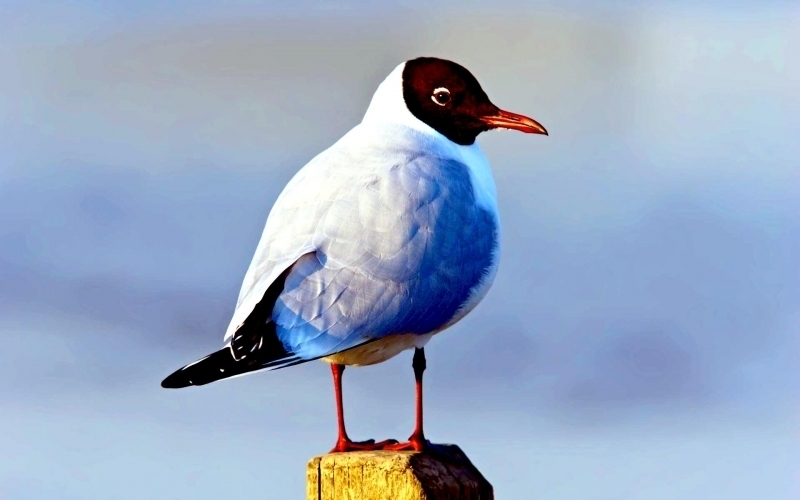 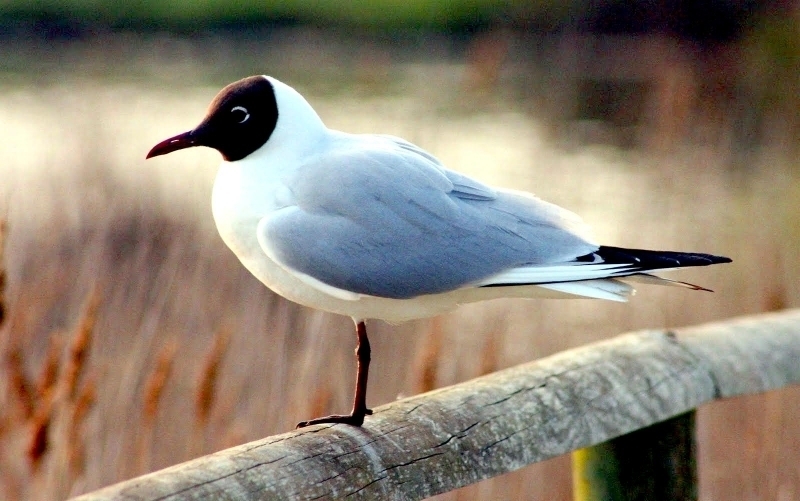 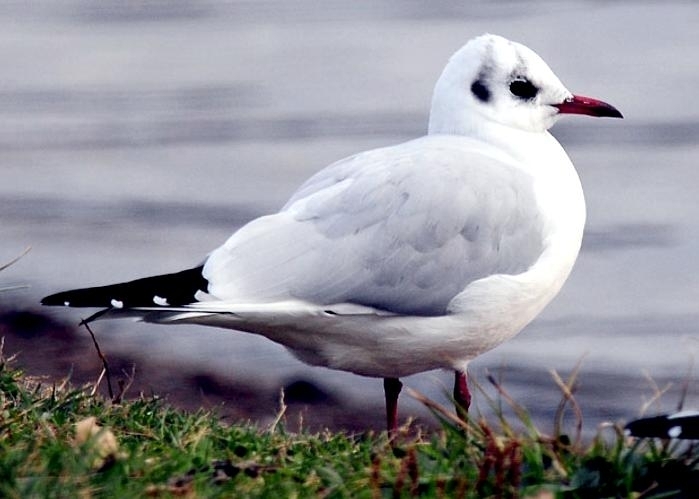 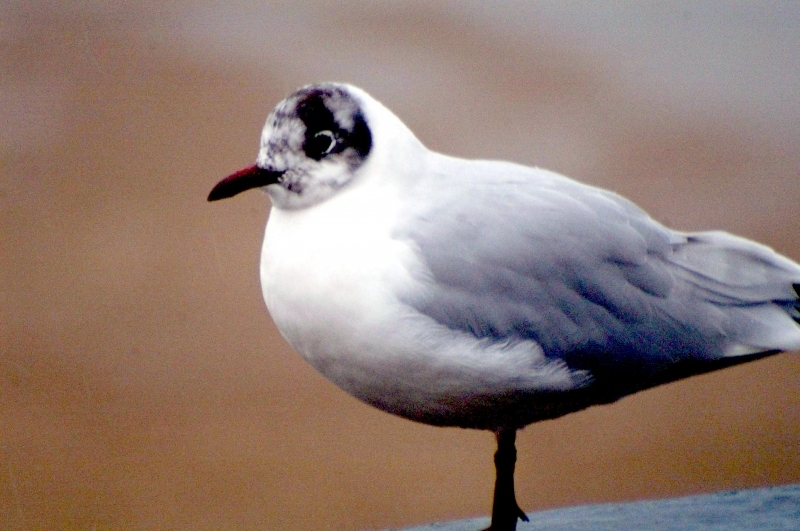 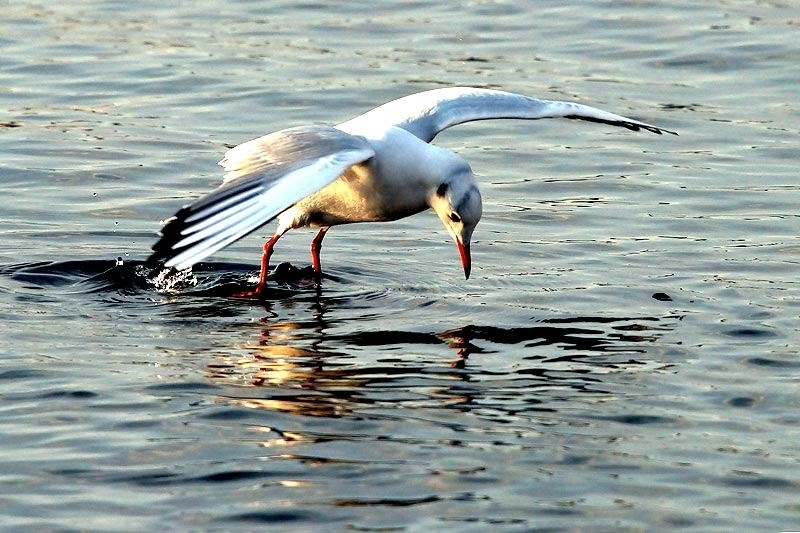 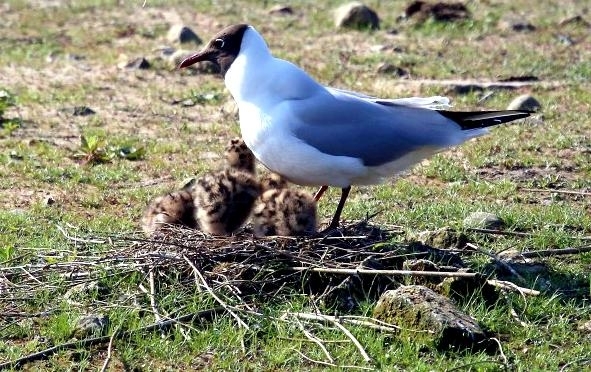 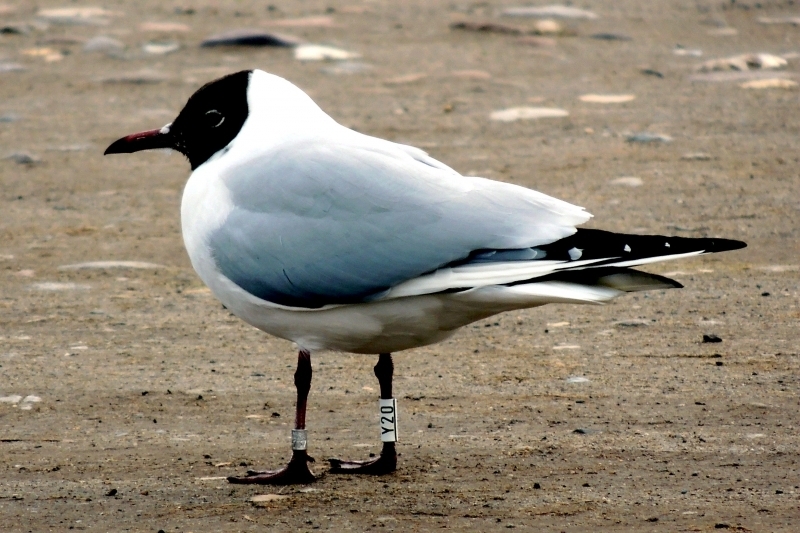 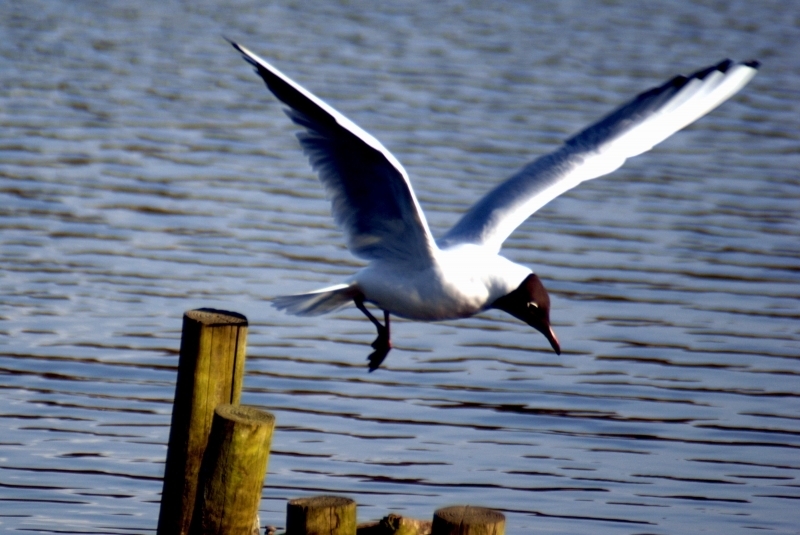 The Black-headed Gull is particularly common at inland sites in north England, Scotland & Wales. 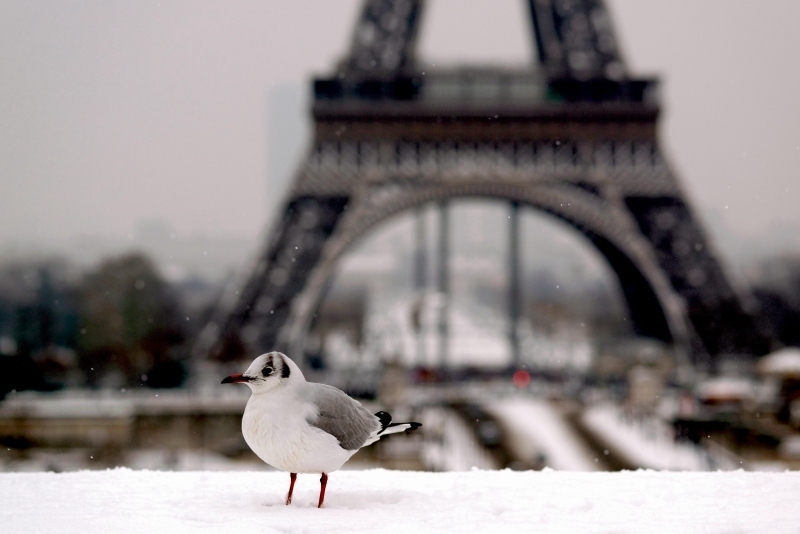 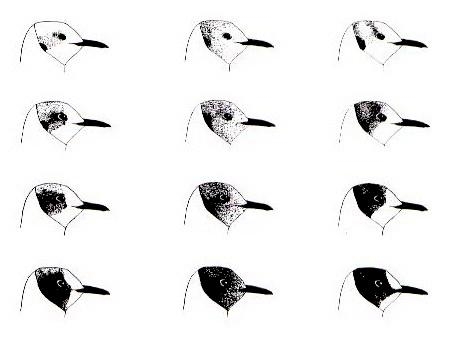 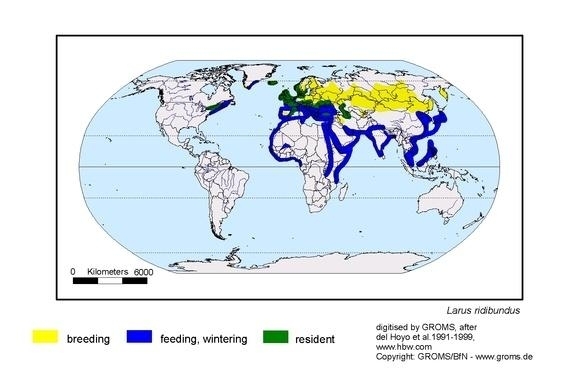 In winter, the British population is augmented by birds from continental Europe. 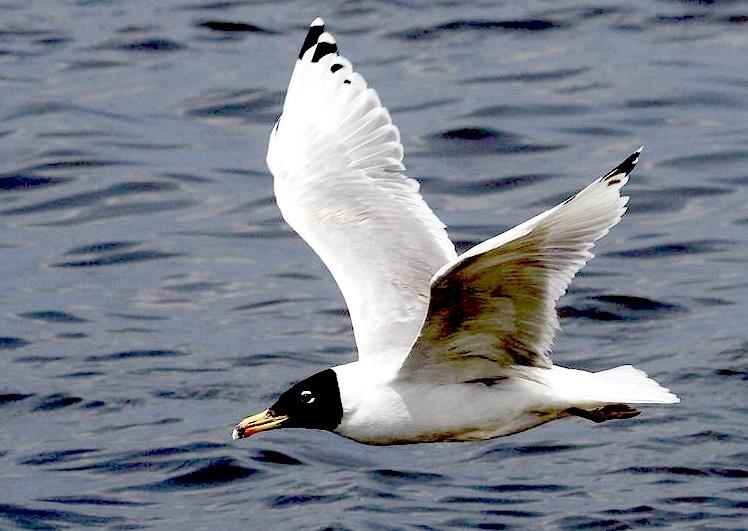 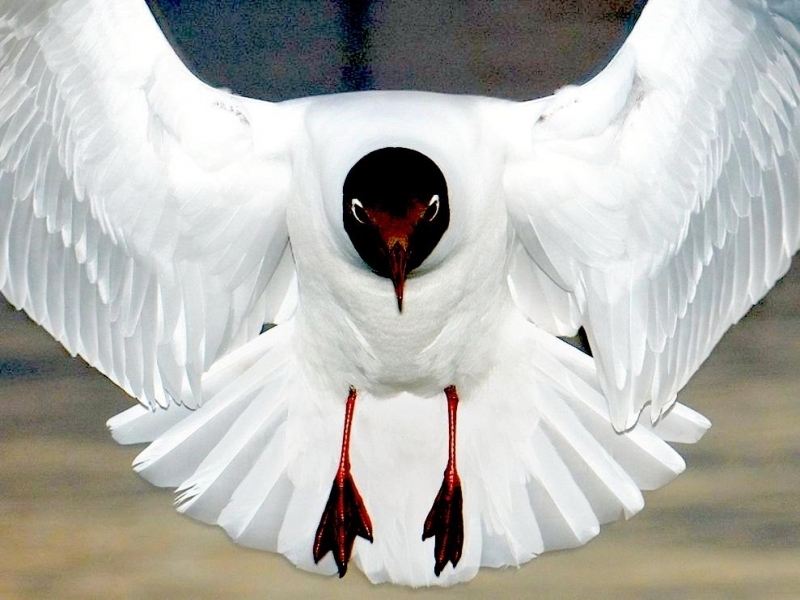 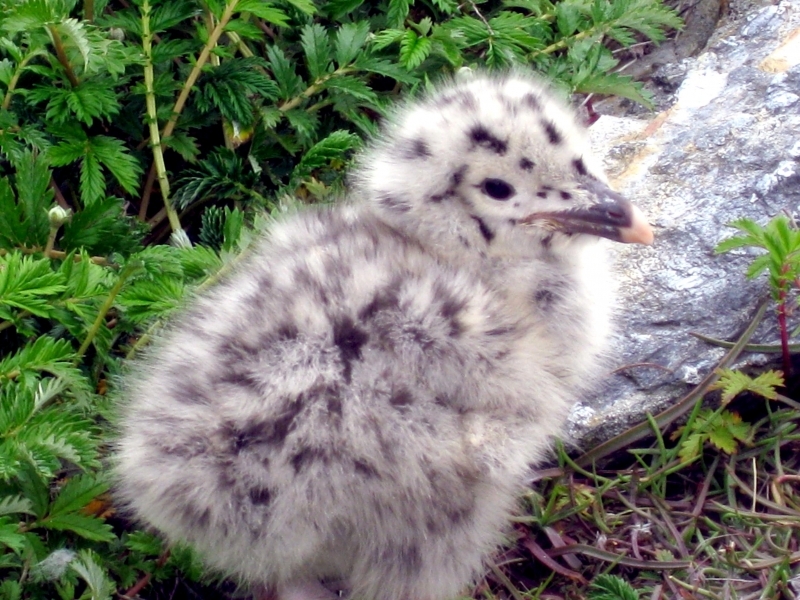 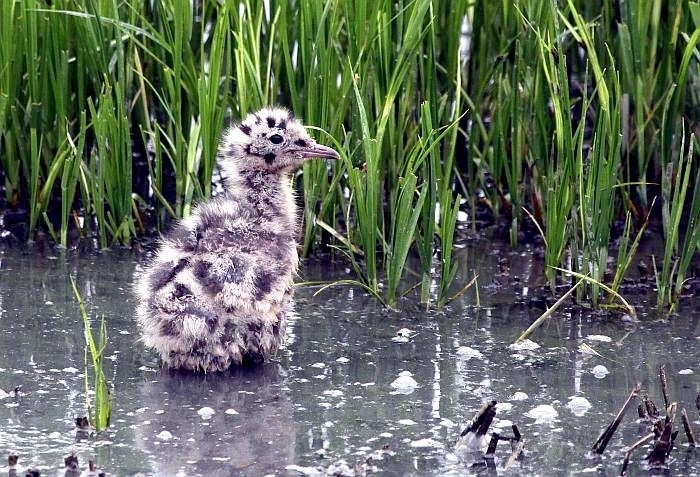 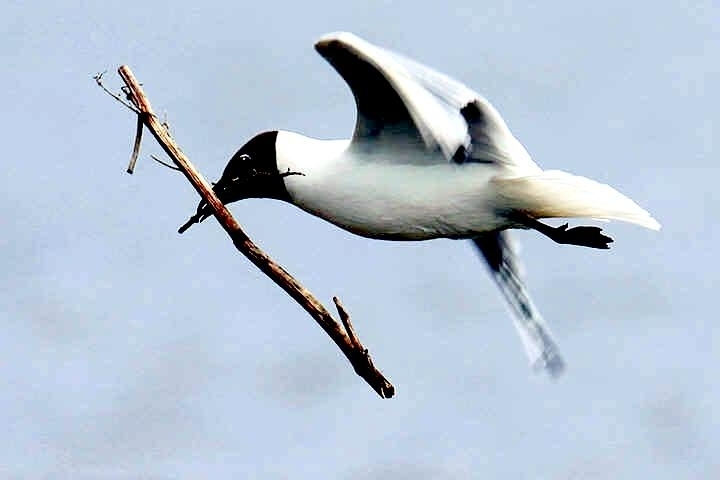 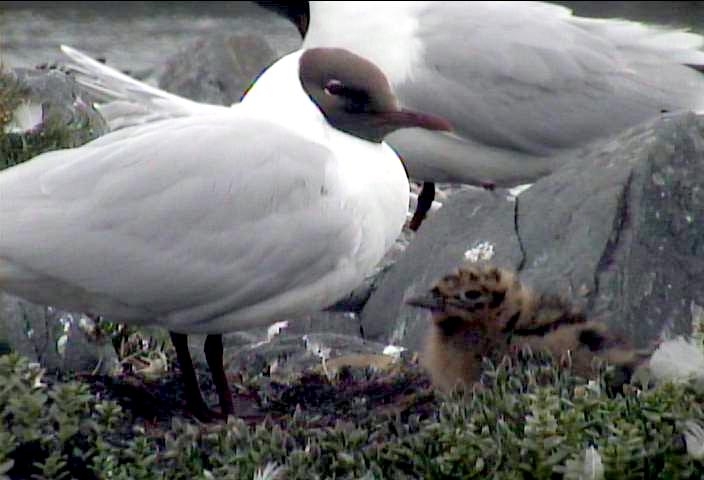 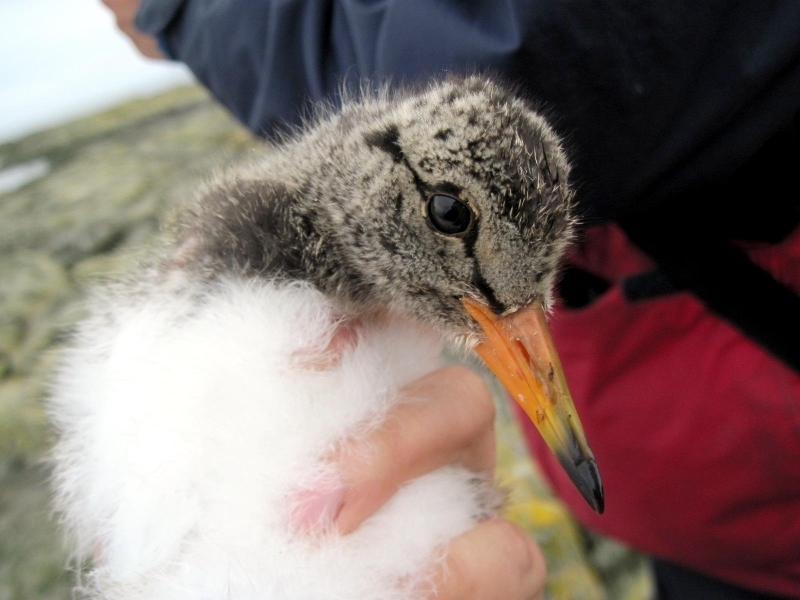 This seabird has a wide global breeding range that extends through the lower Arctic regions. 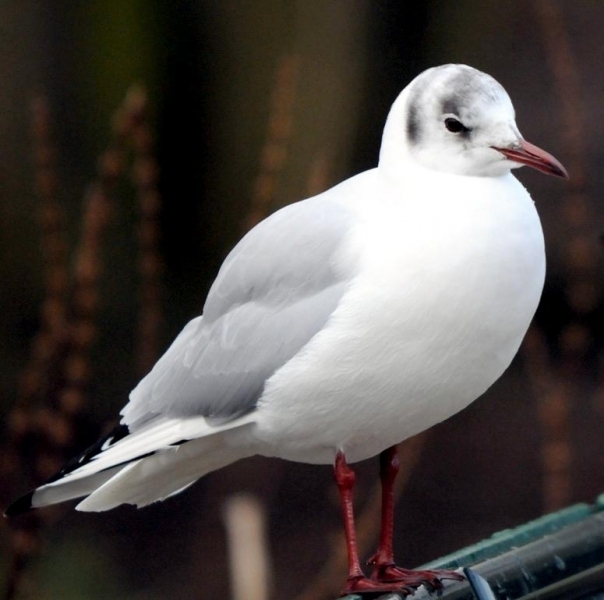 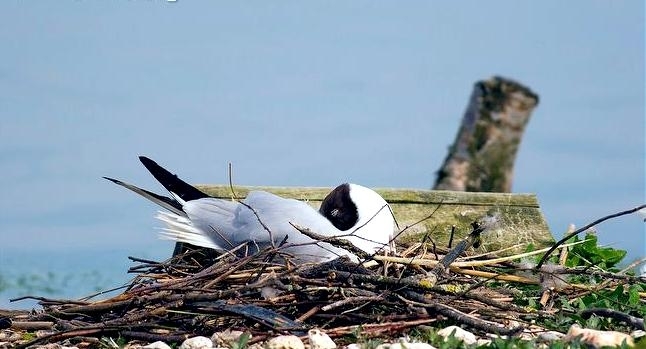 In winter, the Black-headed Gull is found in a wide range of habitats including coastal marshes, farmland, rubbish tips, urban parks, gardens and playing fields. 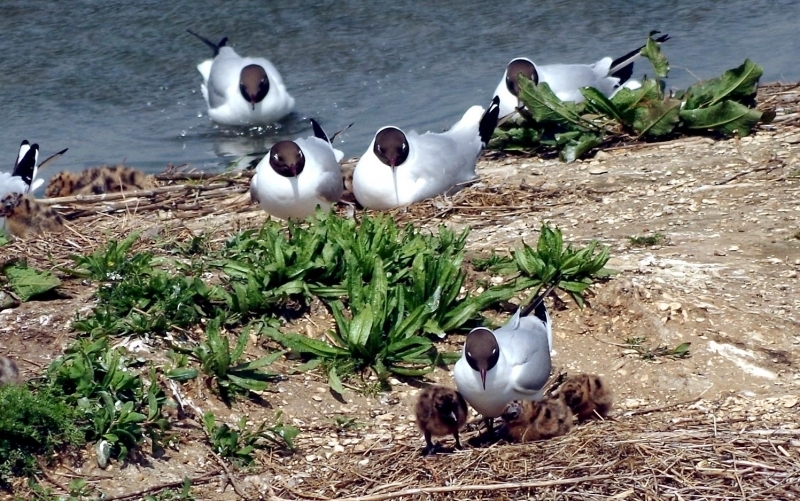 Usual breeding habitats include marshes, ponds, lakes, bogs, gravel pits and dry sites next to water bodies such as sand-dunes.